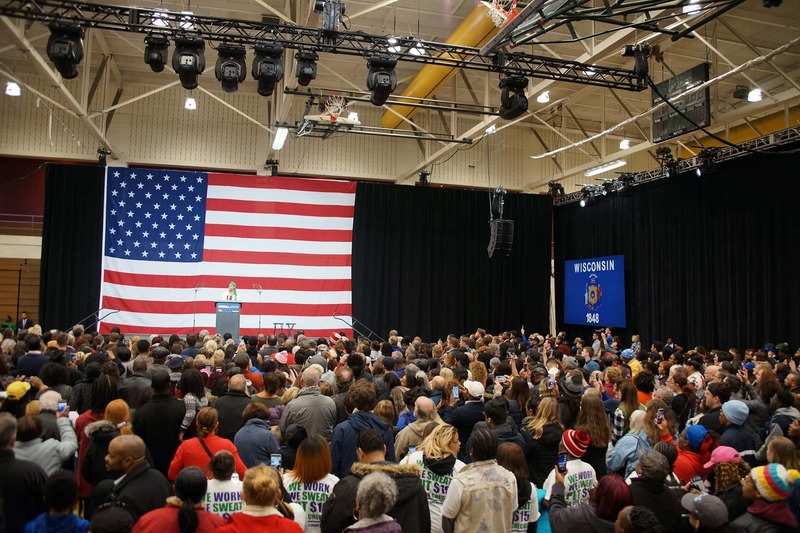 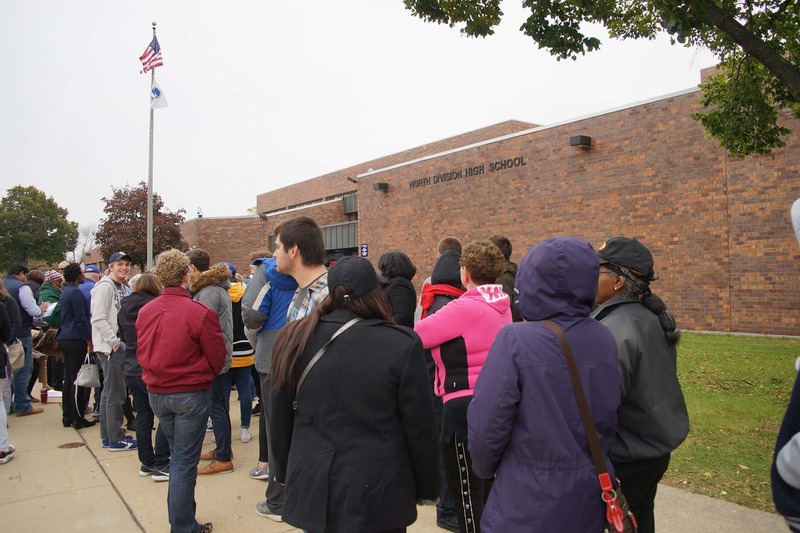 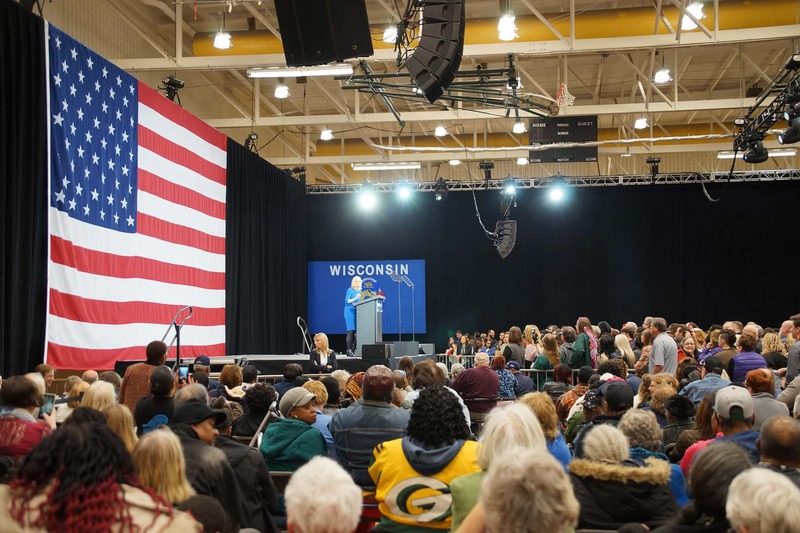 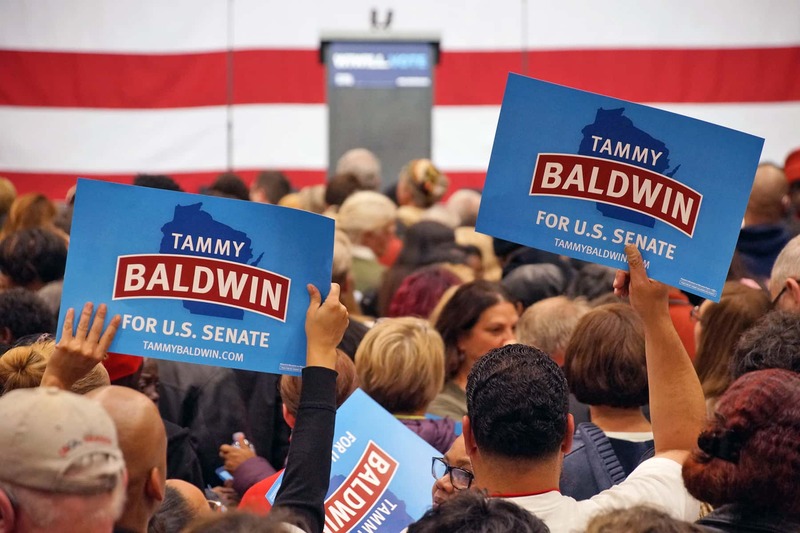 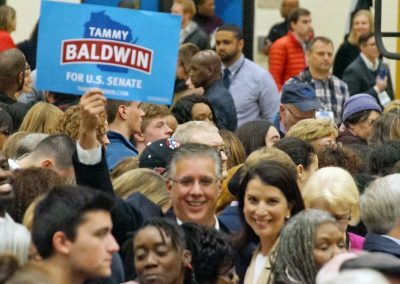 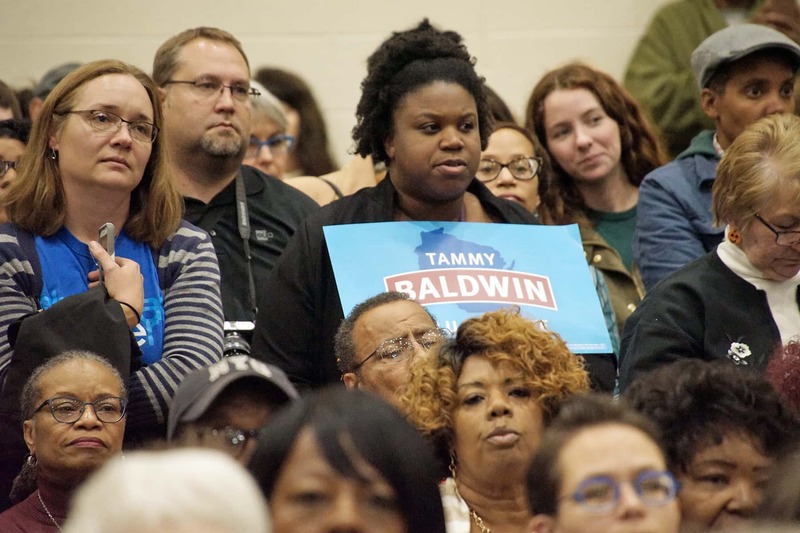 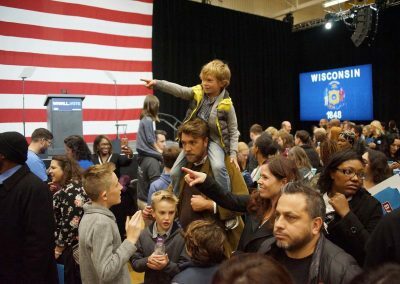 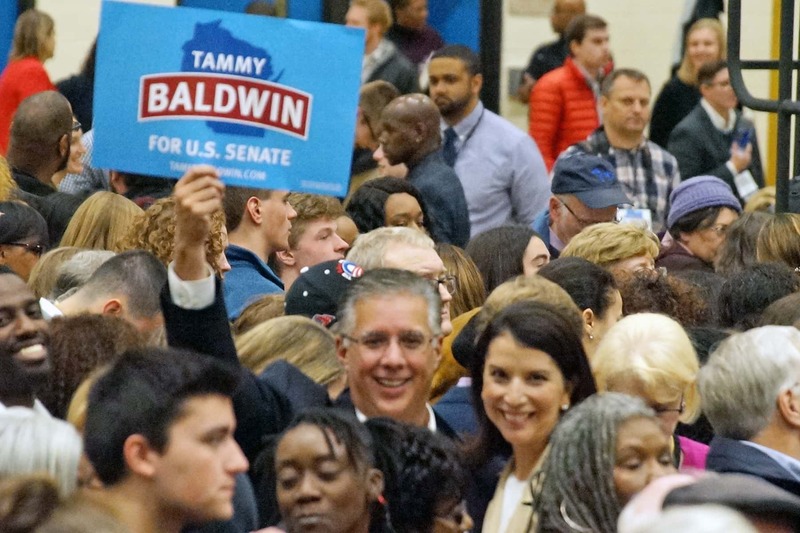 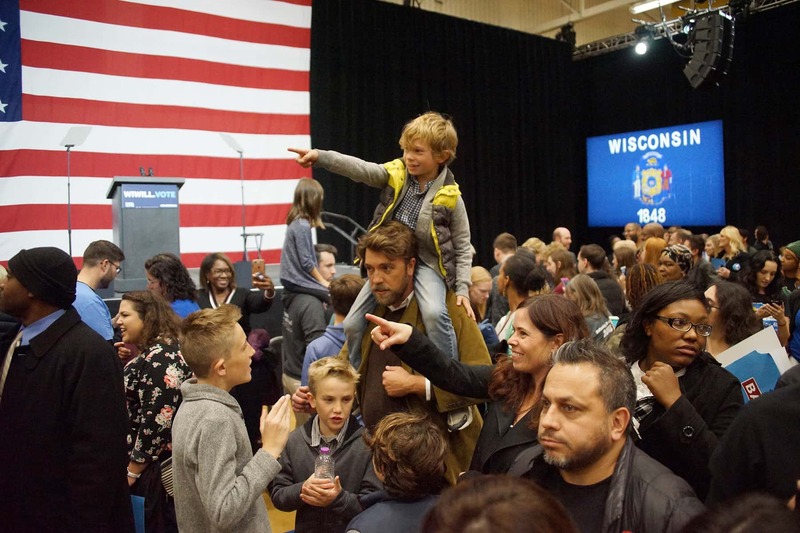 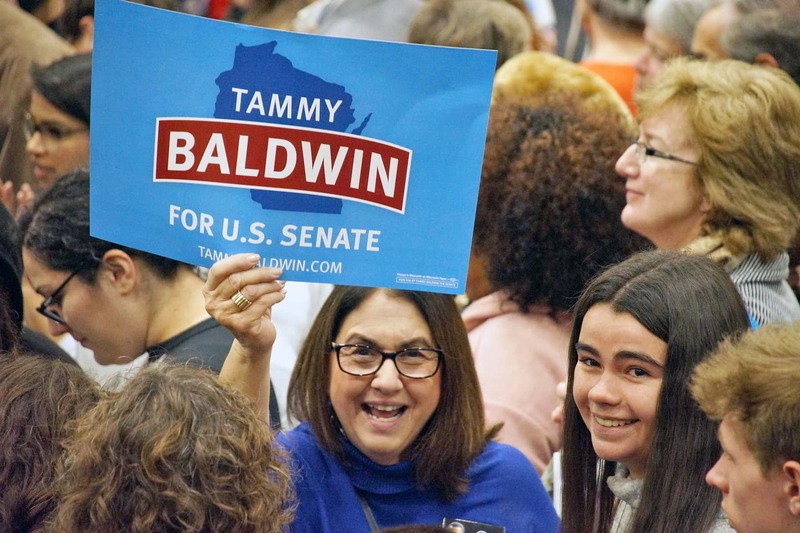 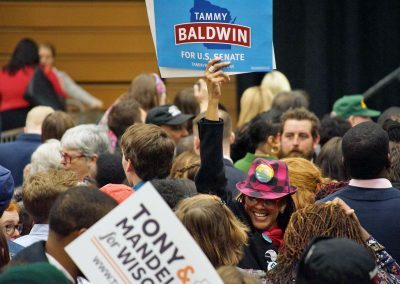 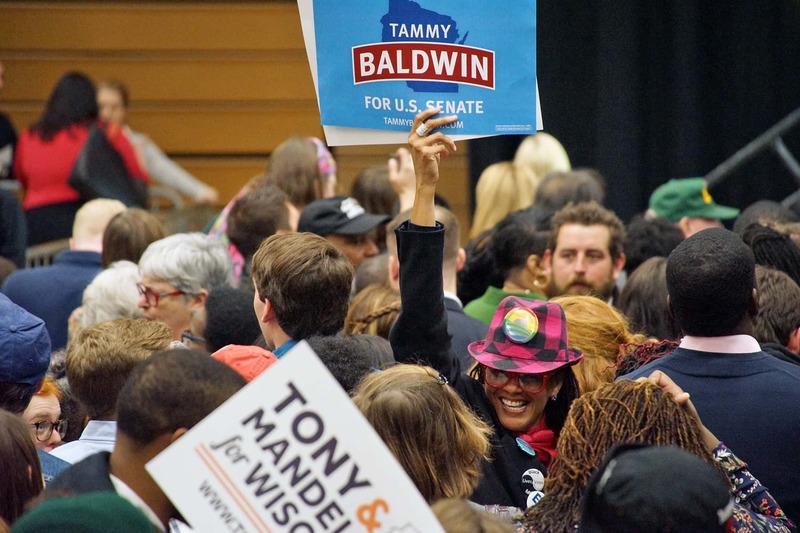 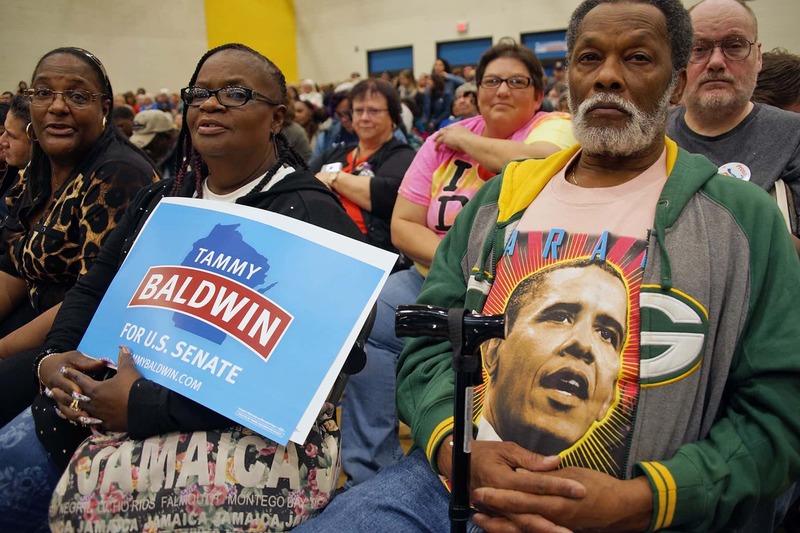 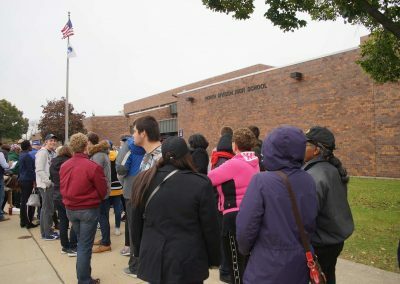 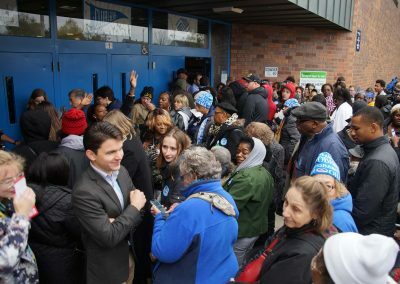 The Democratic Party of Wisconsin welcomed former President Barack Obama to Wisconsin on October 26 to campaign with Senator Tammy Baldwin, Tony Evers, and Democratic candidates up and down the ballot ahead of the November 6 election at North Division High School. 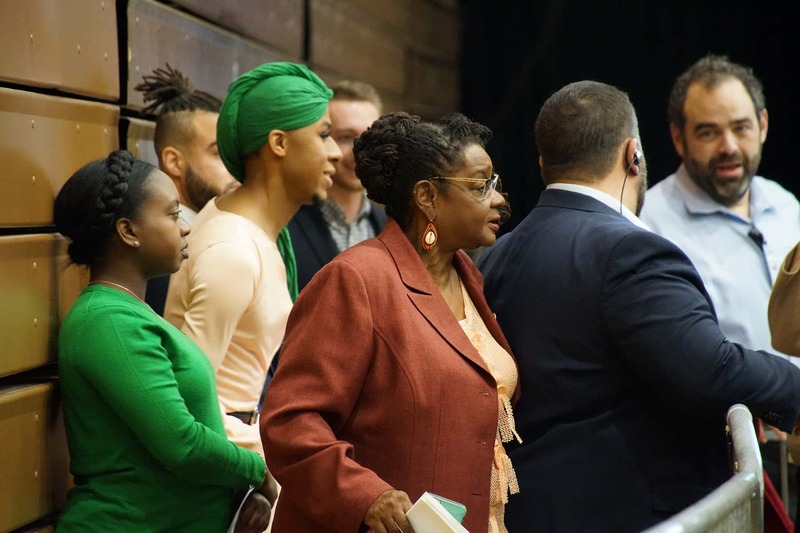 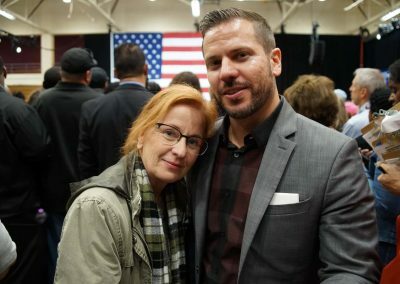 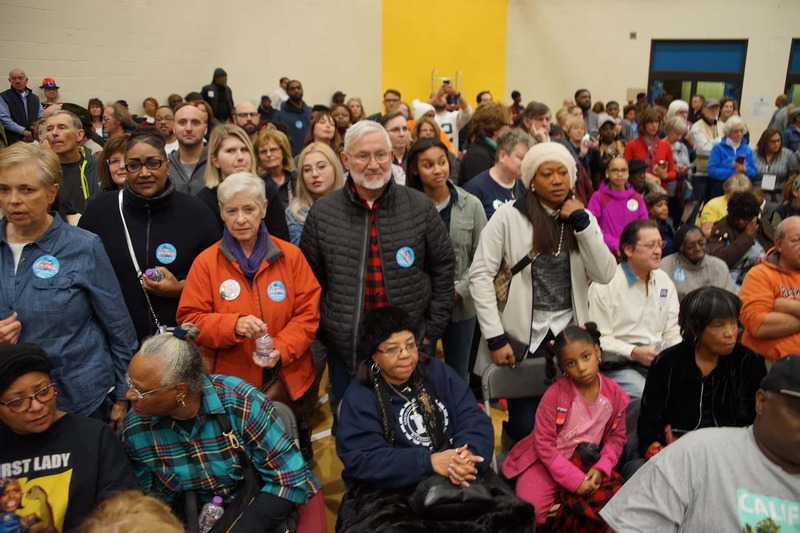 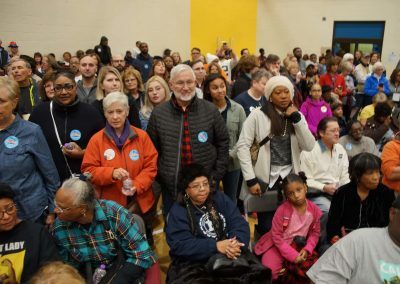 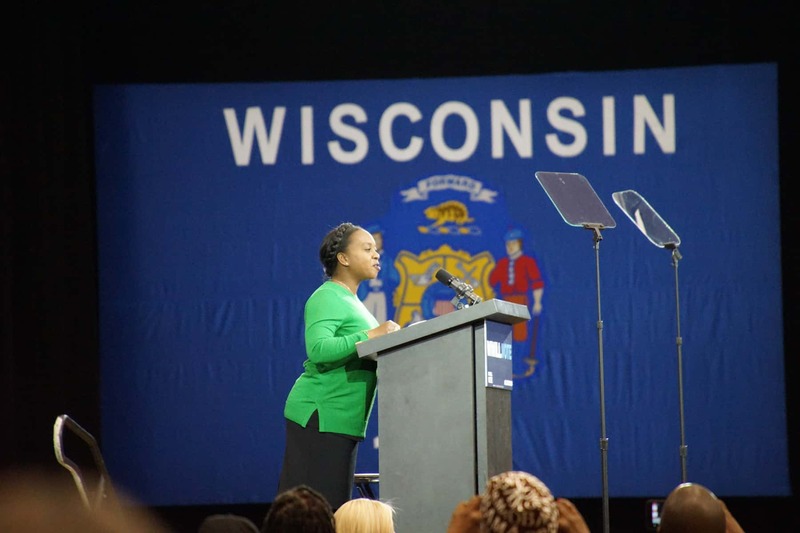 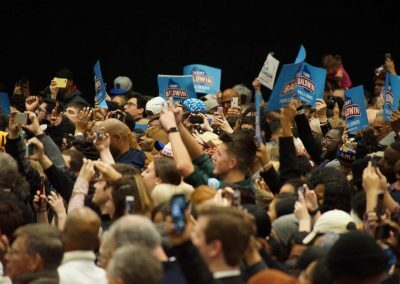 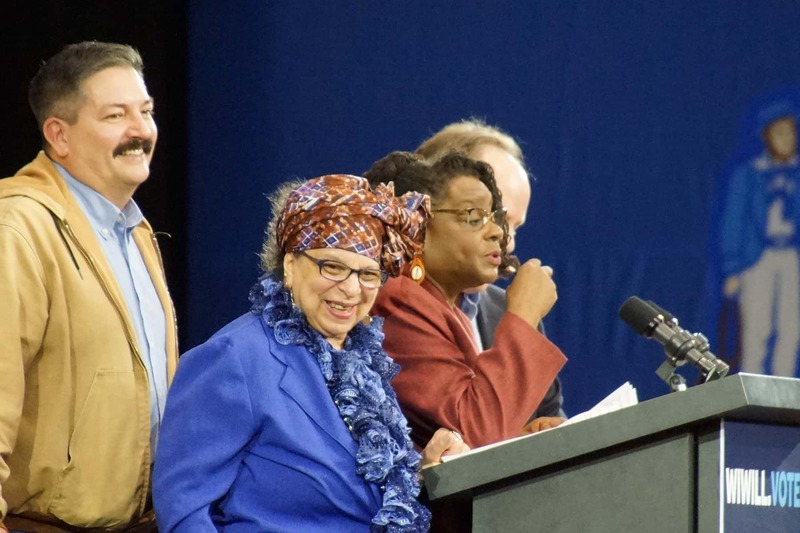 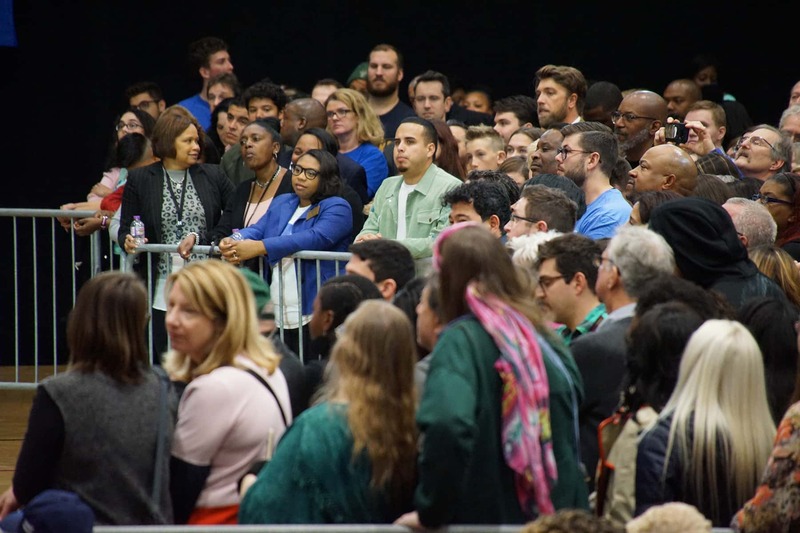 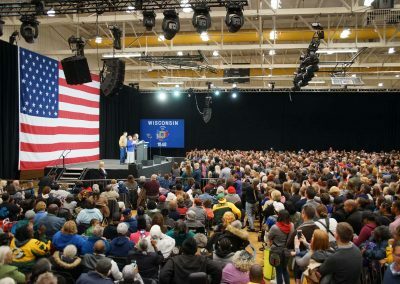 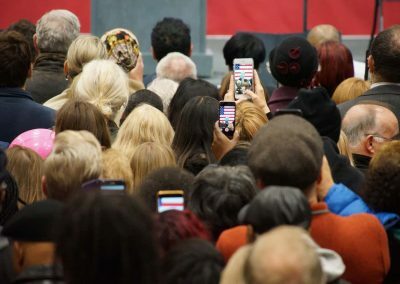 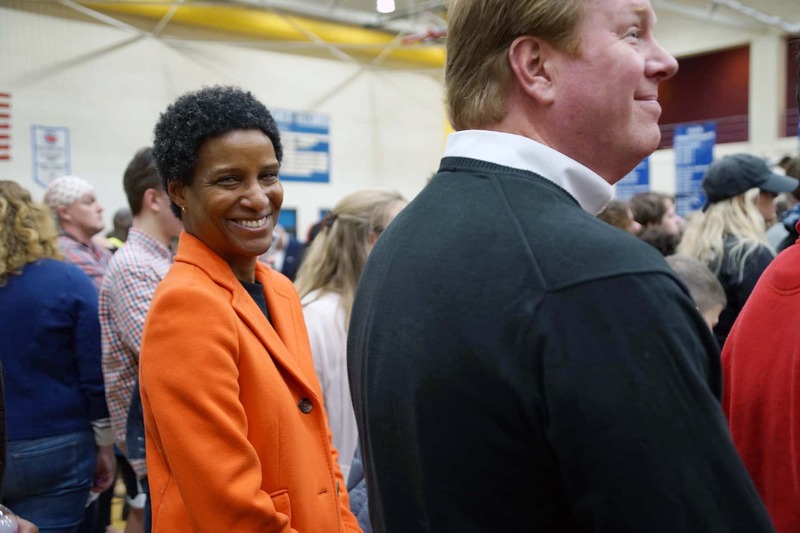 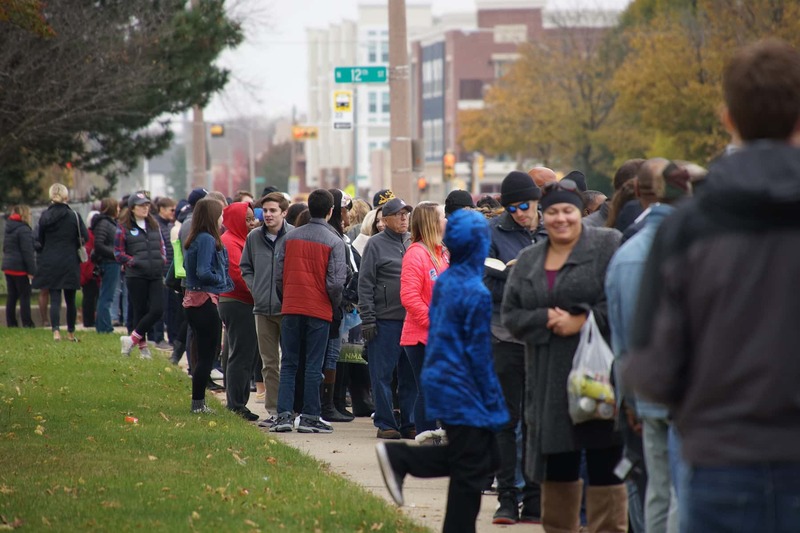 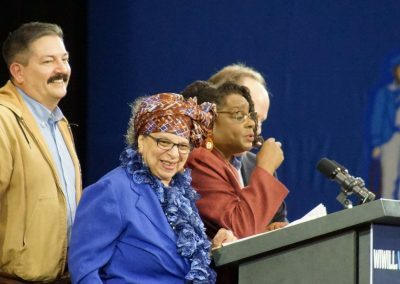 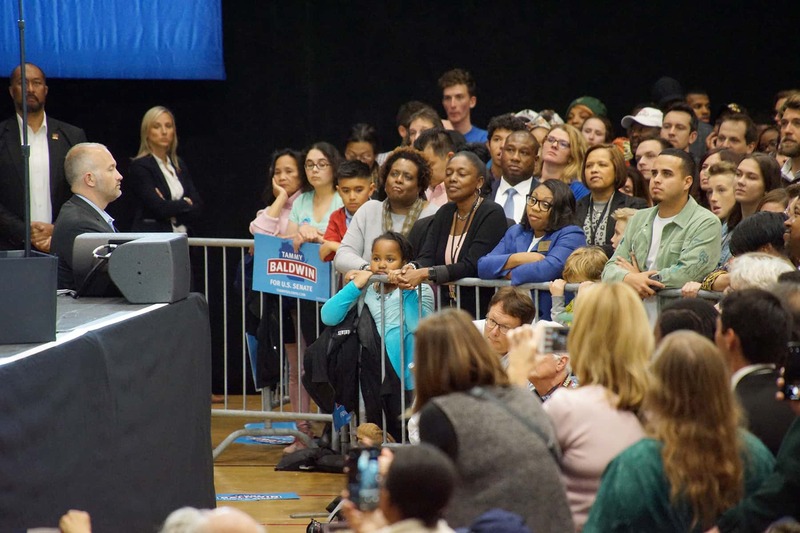 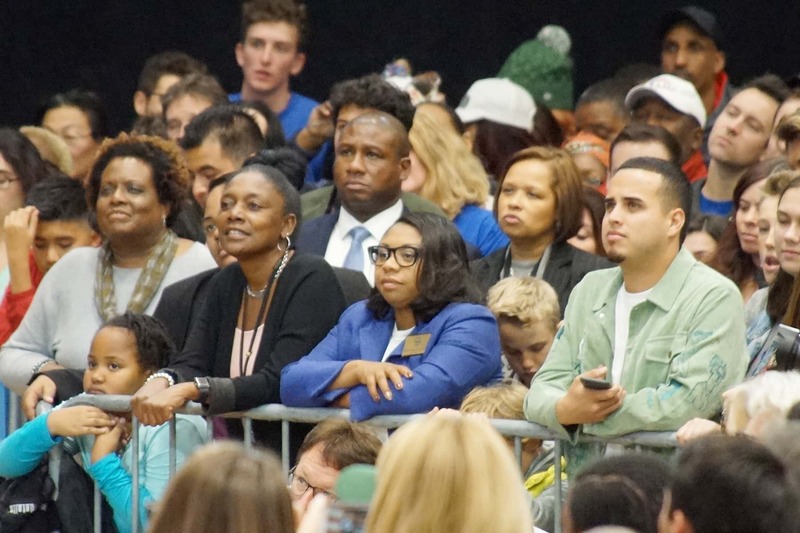 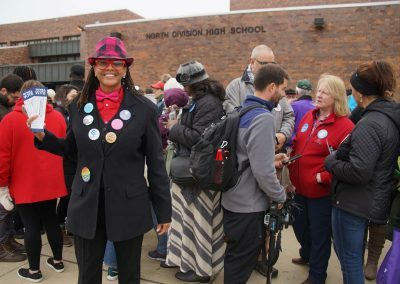 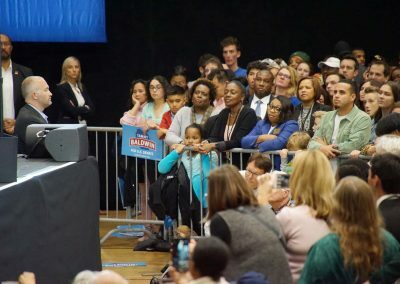 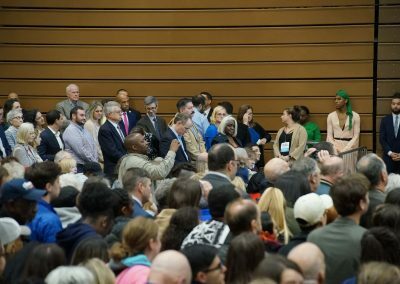 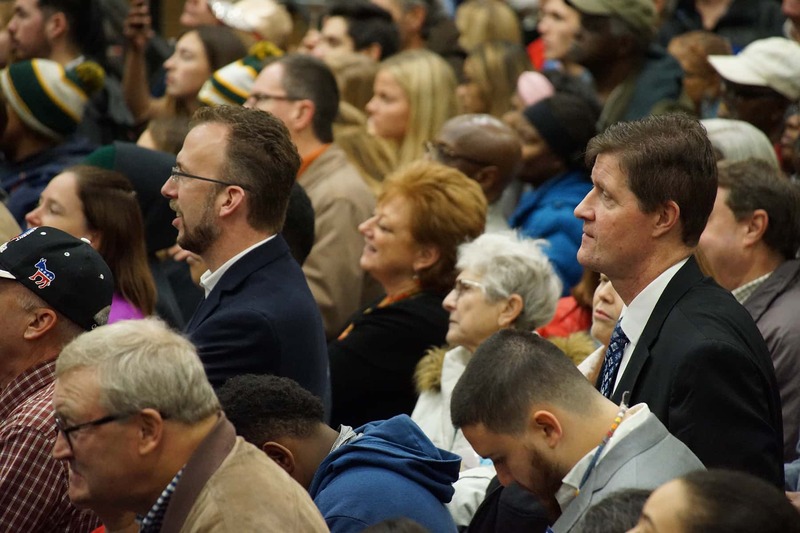 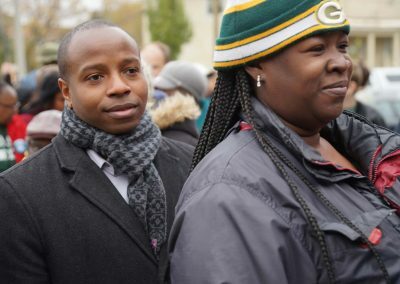 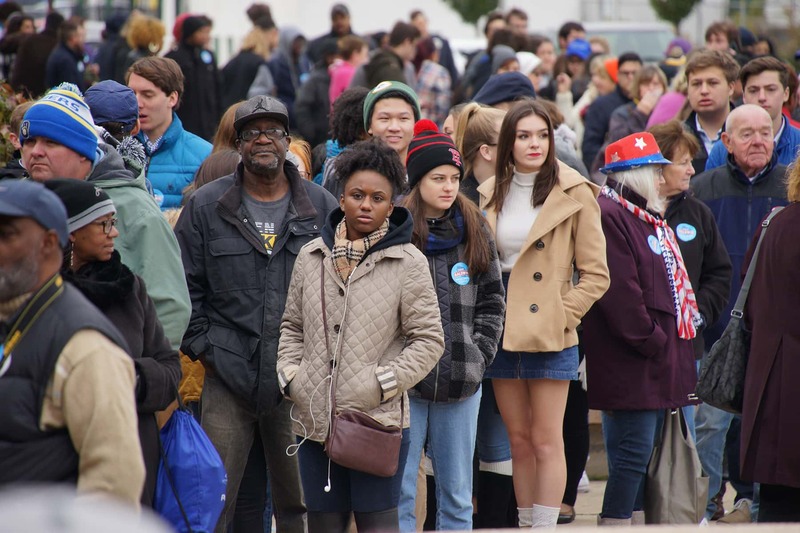 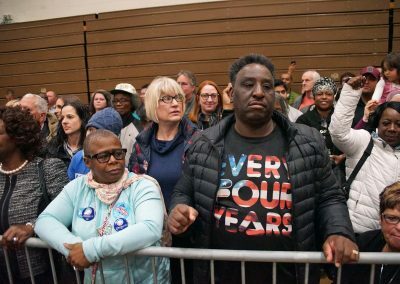 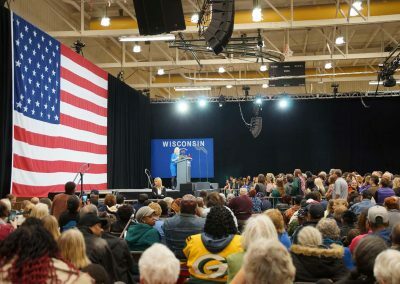 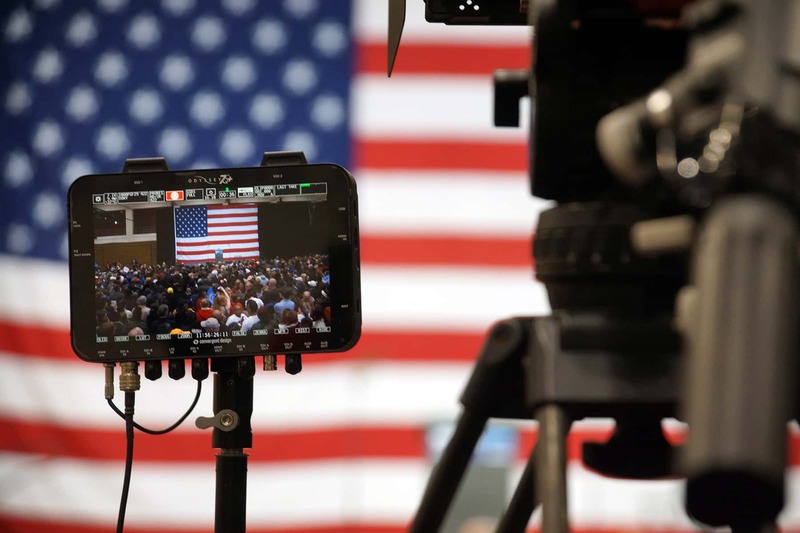 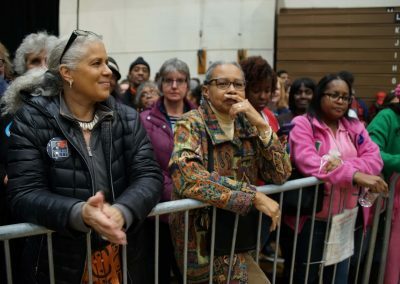 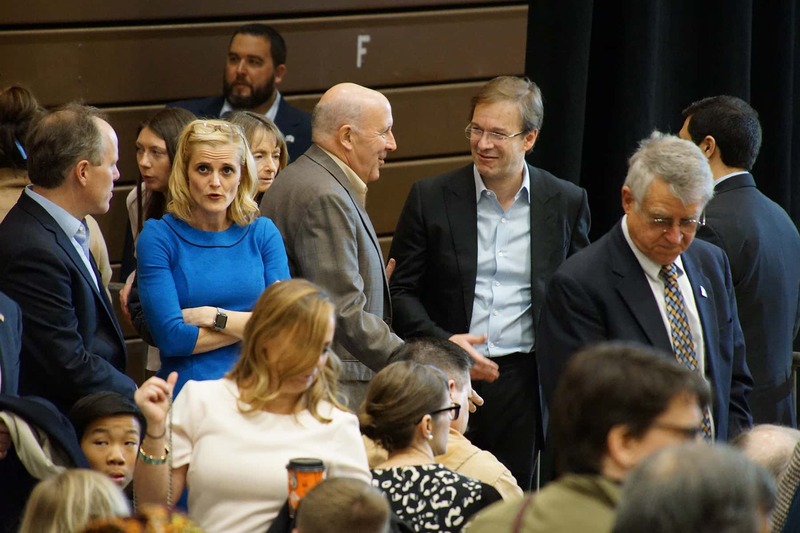 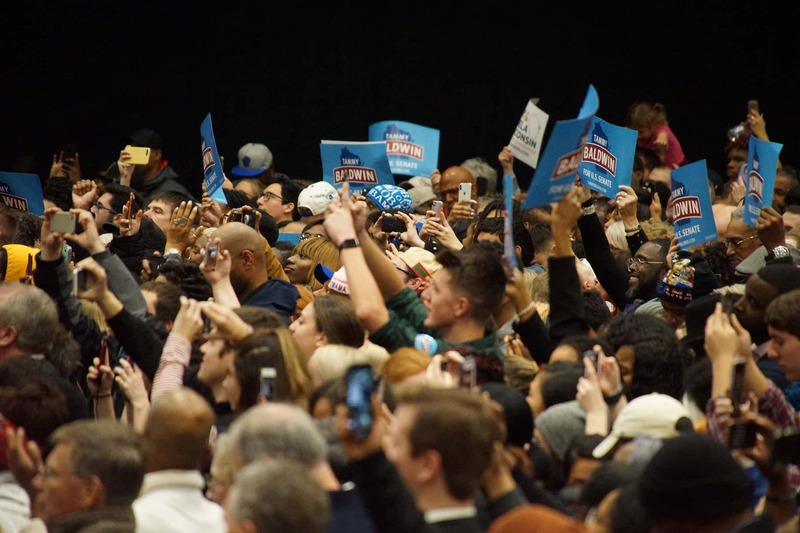 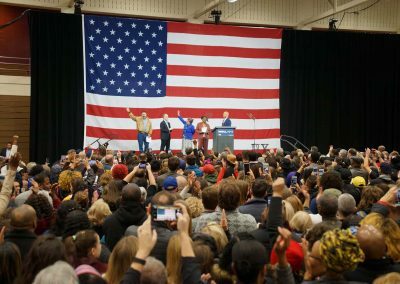 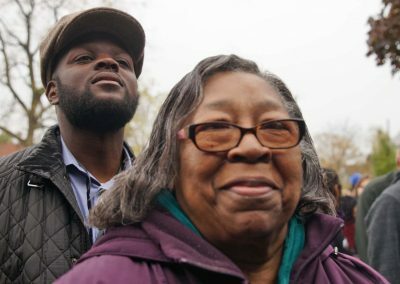 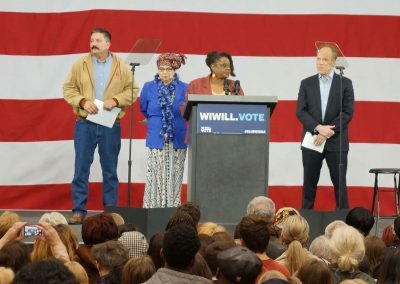 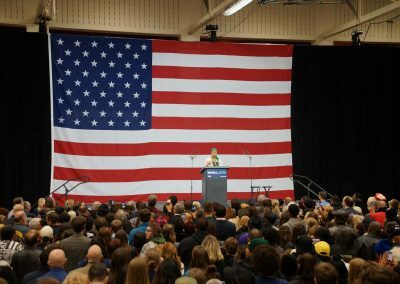 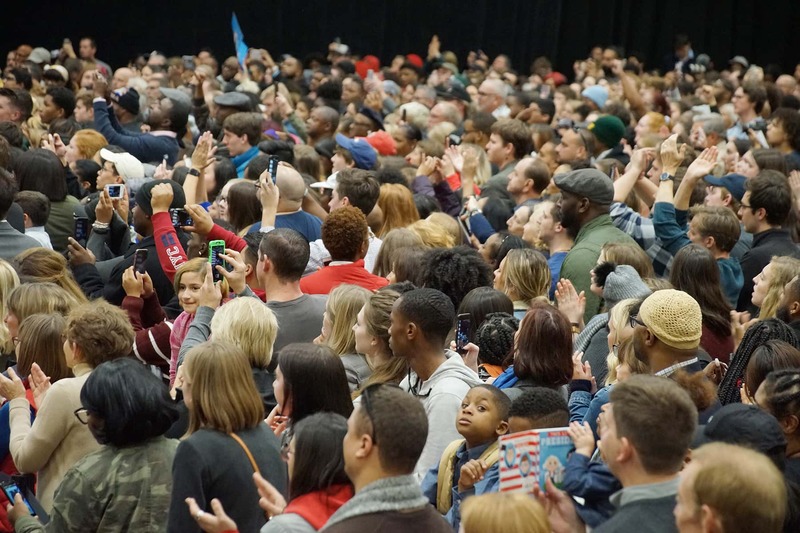 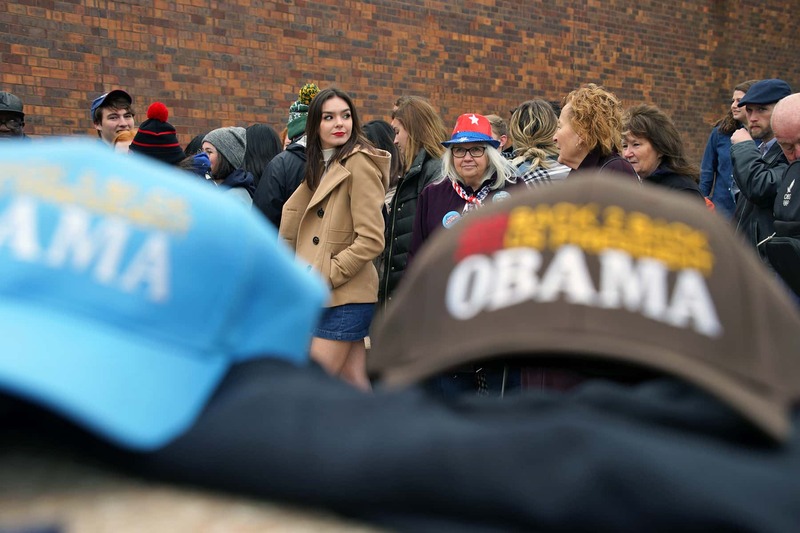 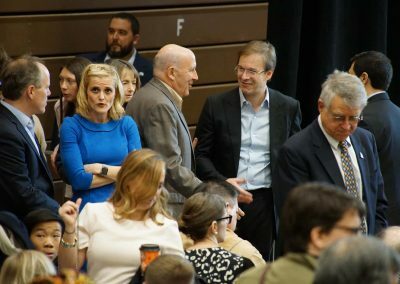 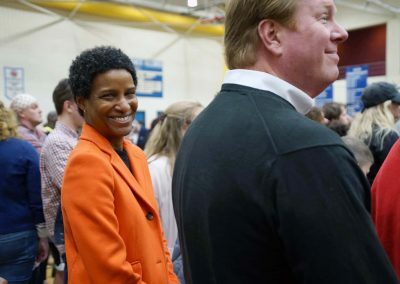 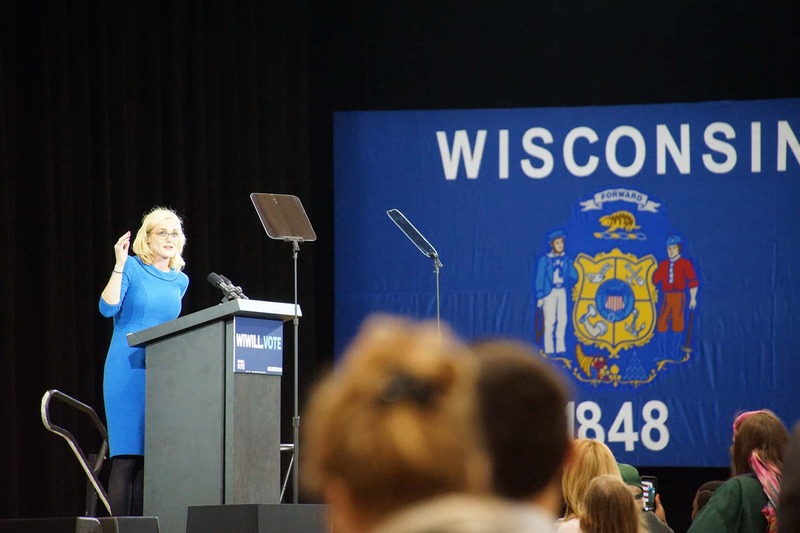 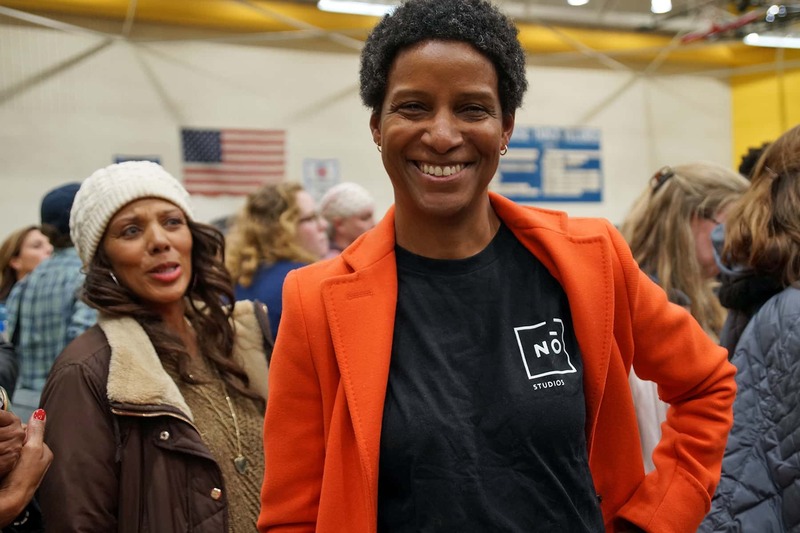 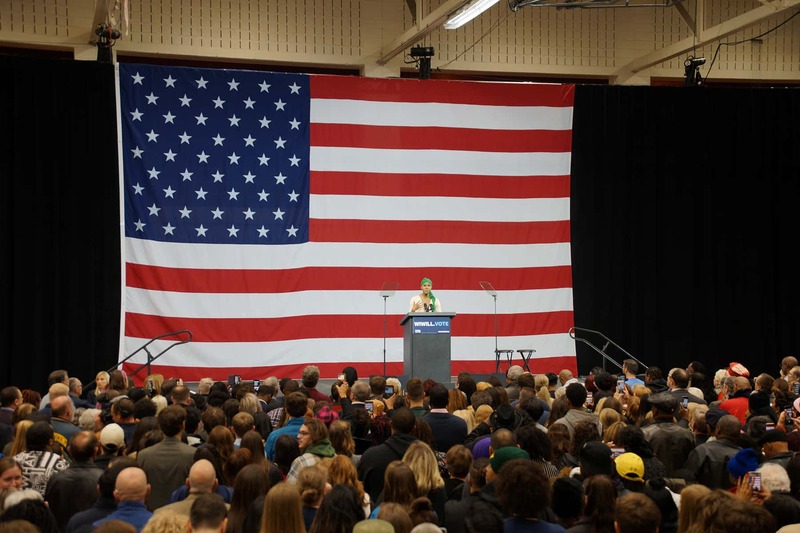 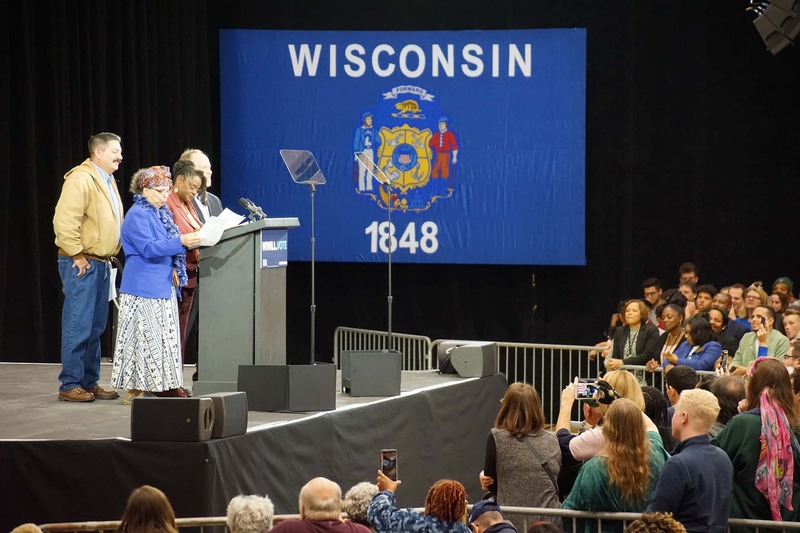 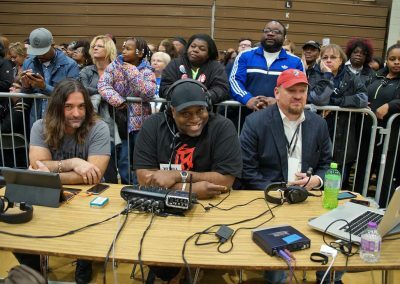 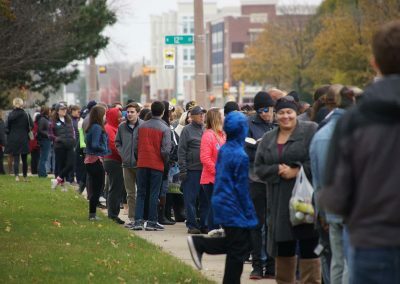 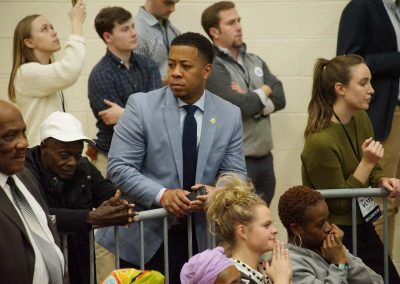 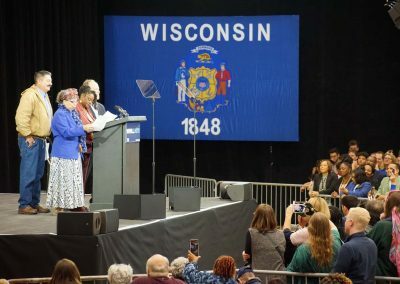 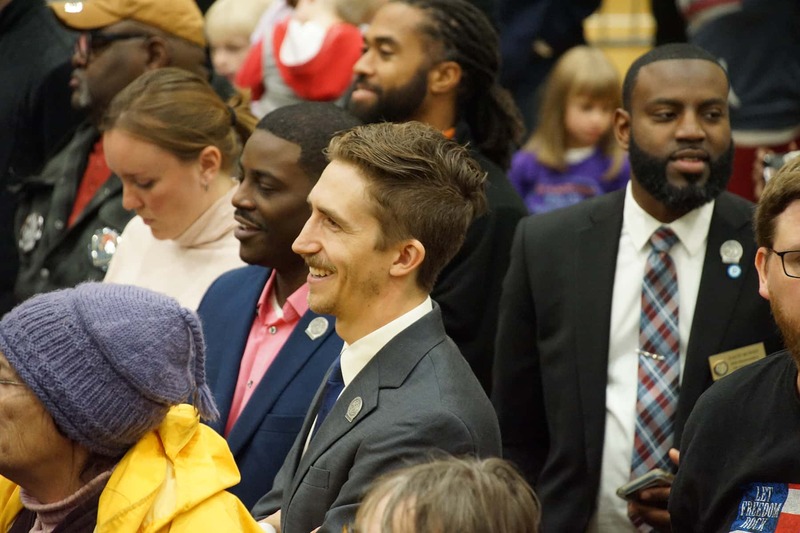 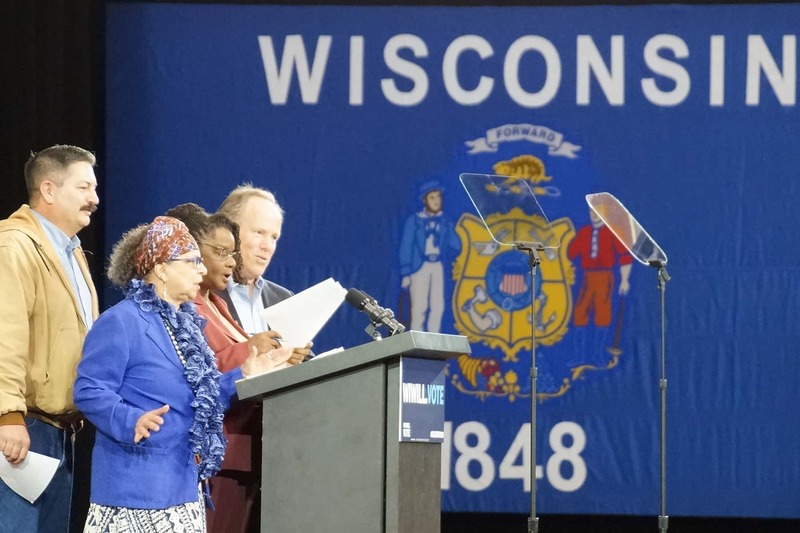 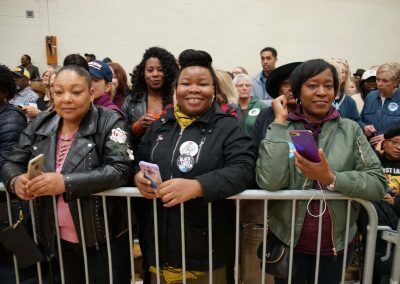 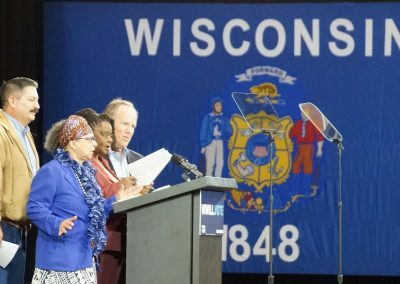 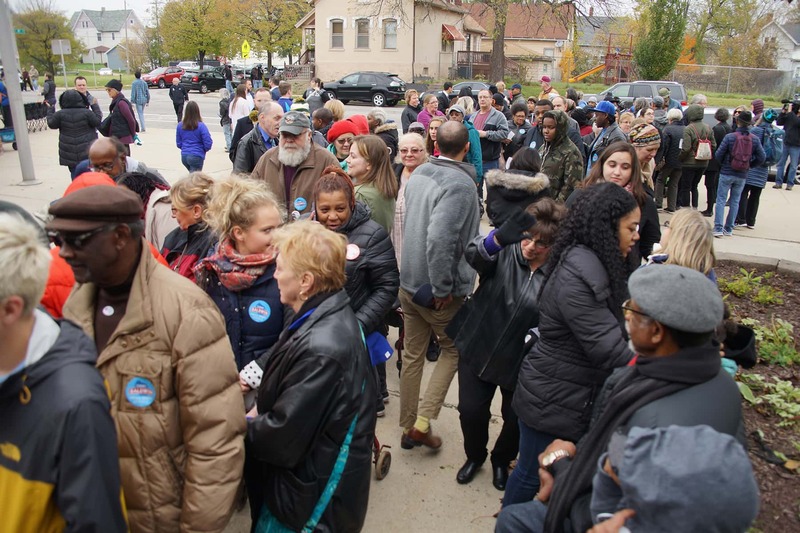 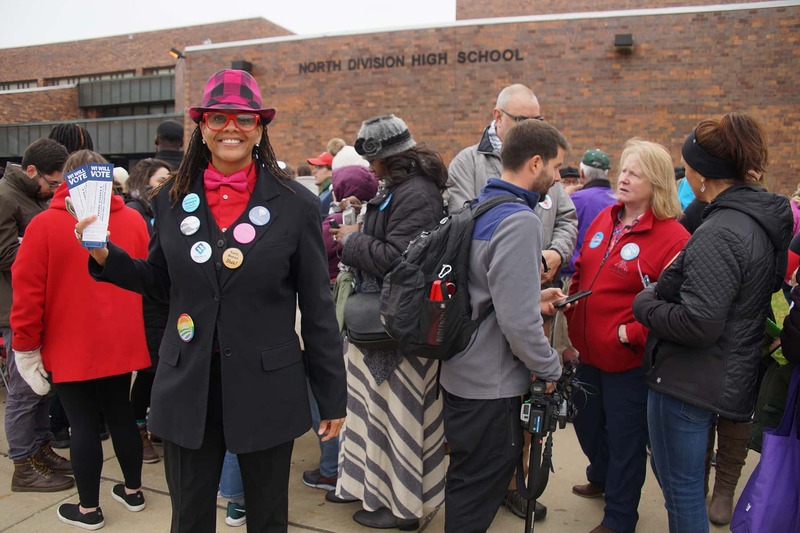 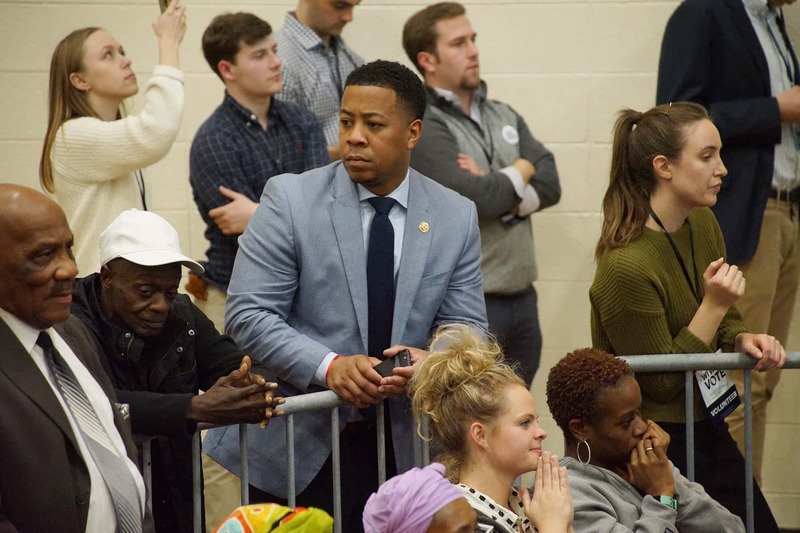 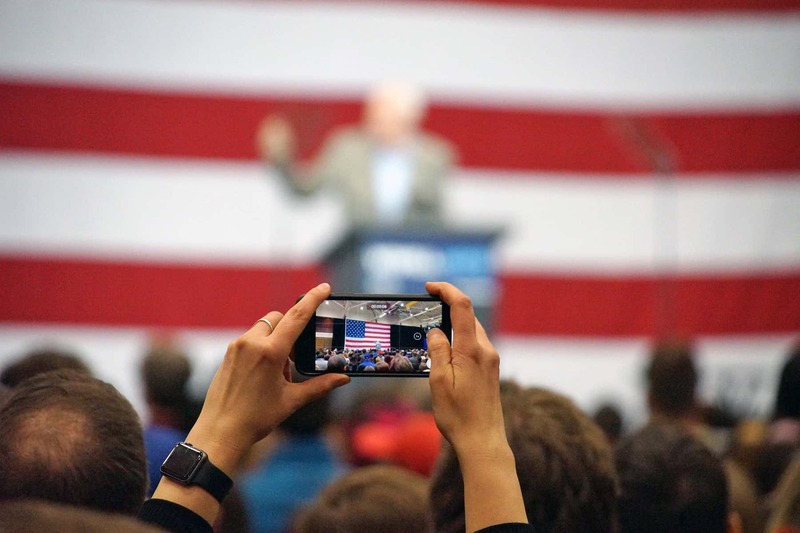 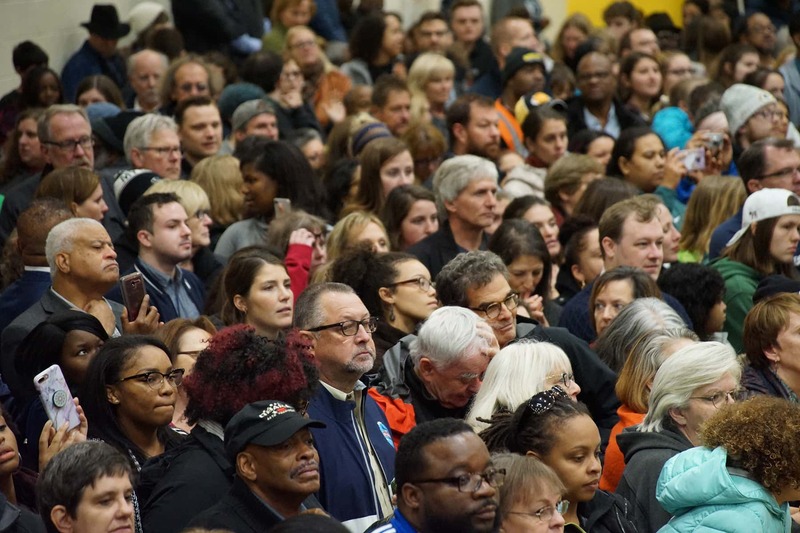 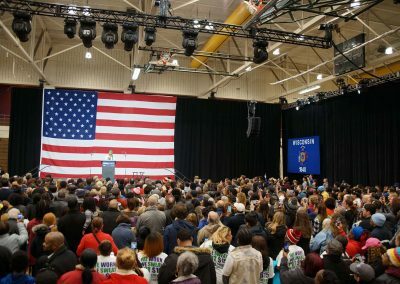 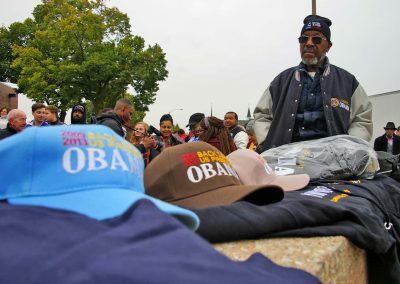 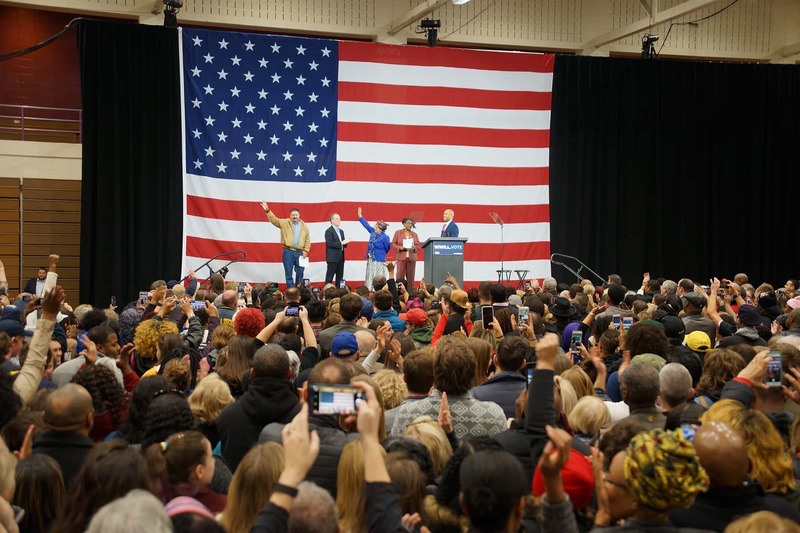 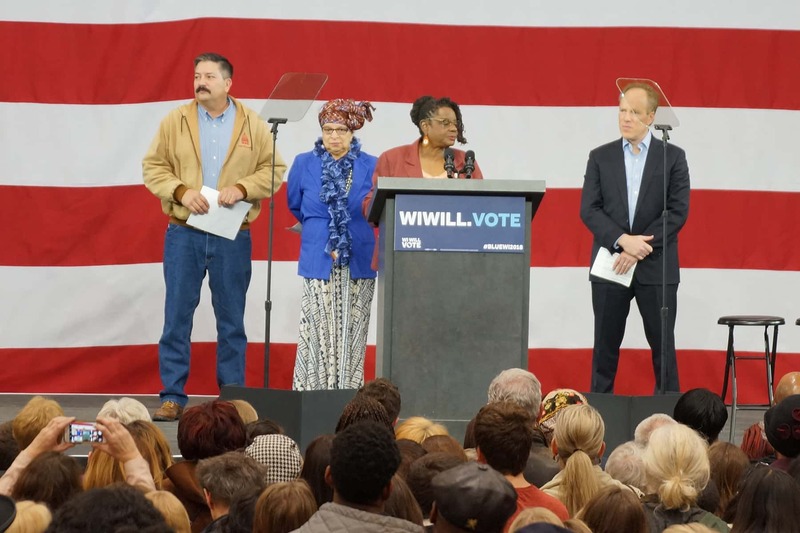 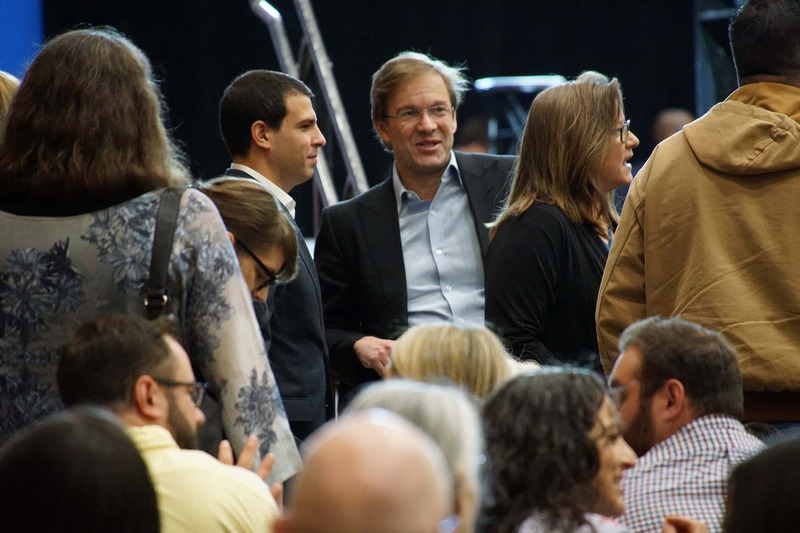 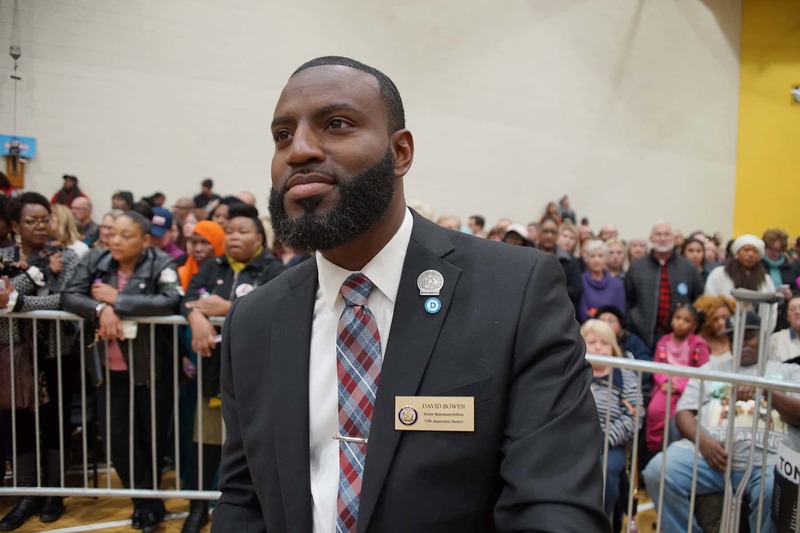 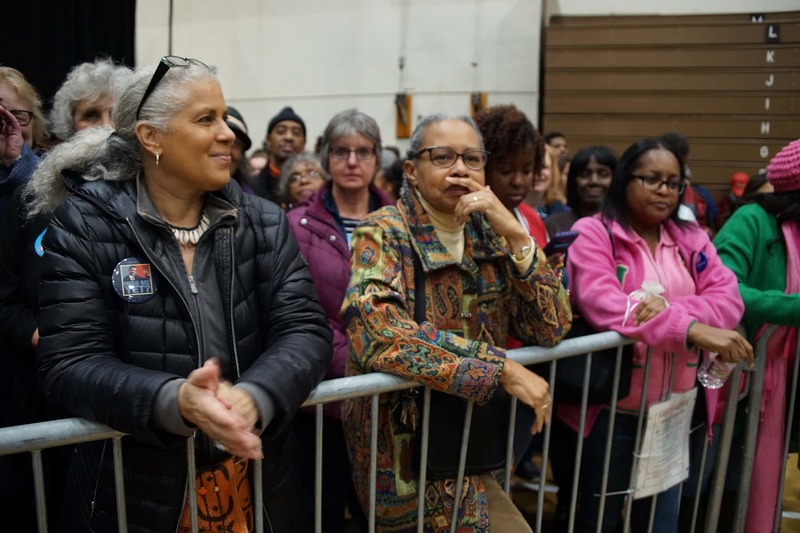 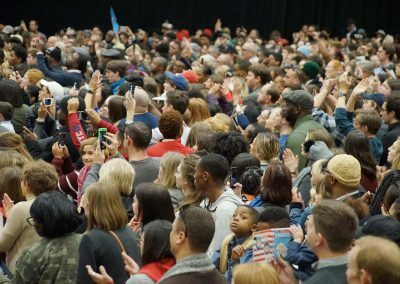 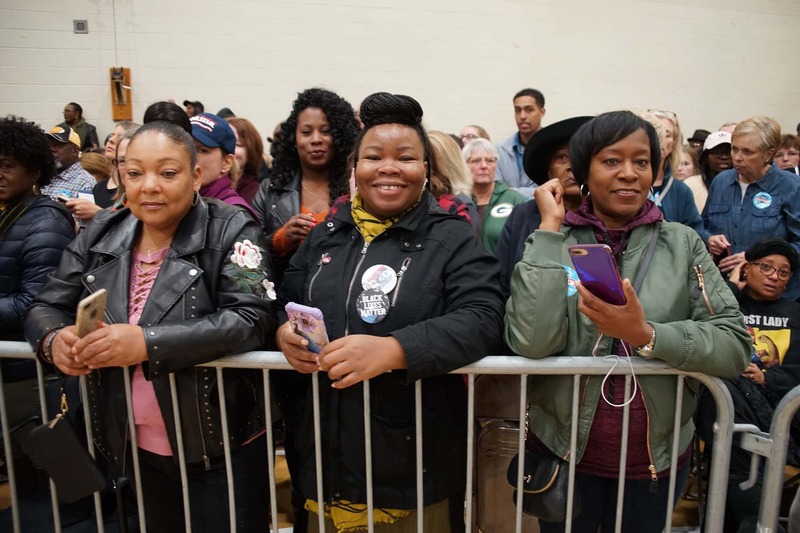 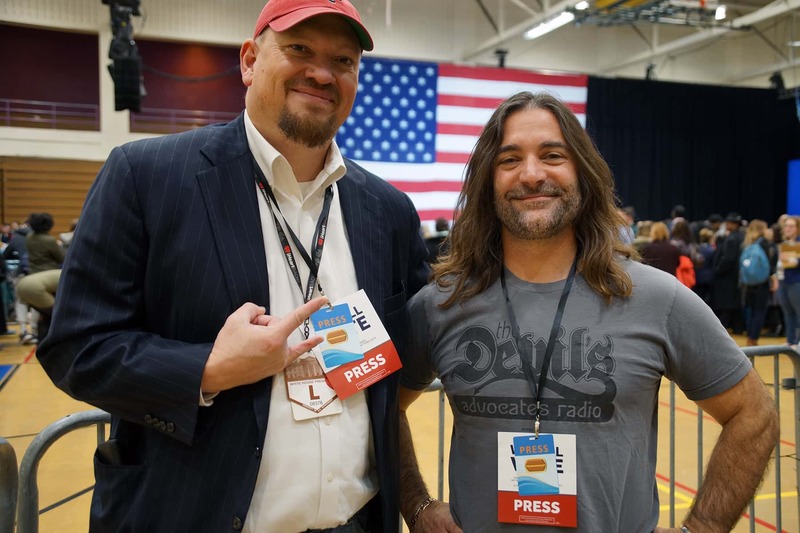 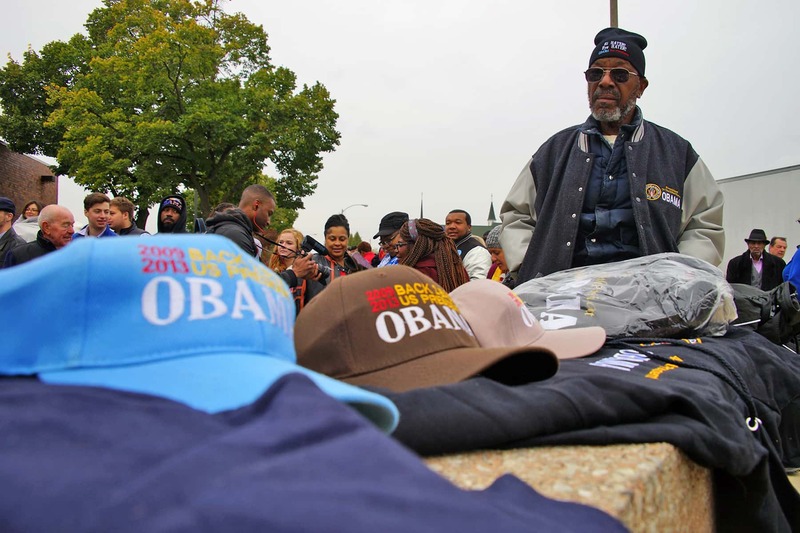 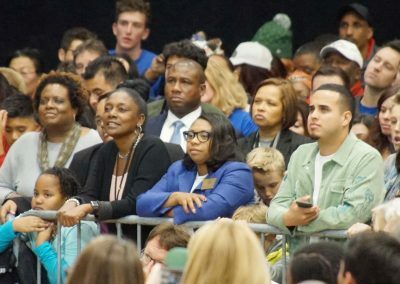 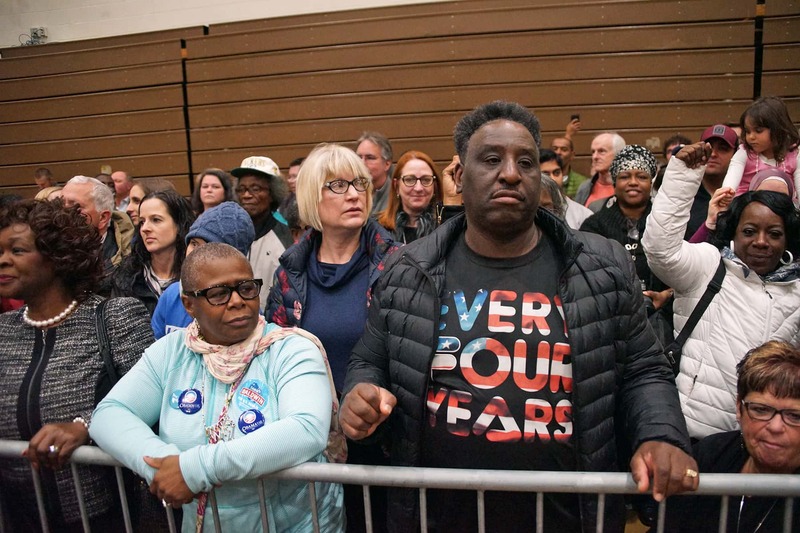 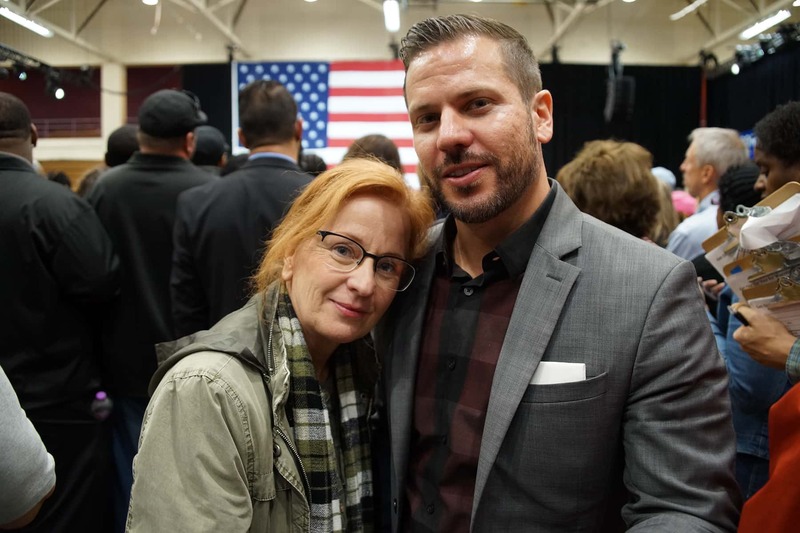 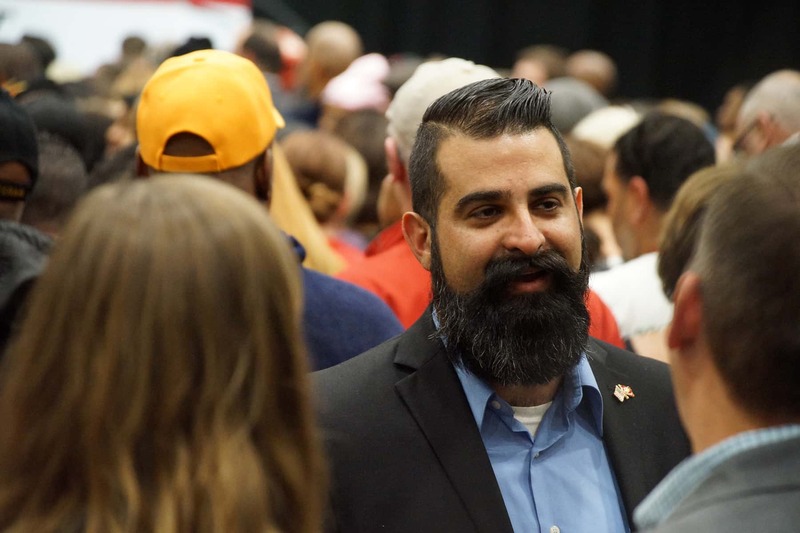 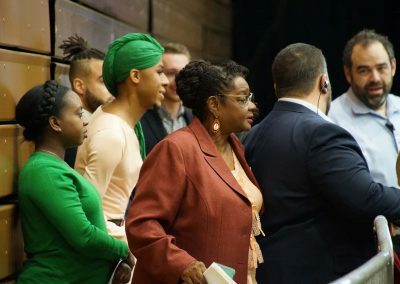 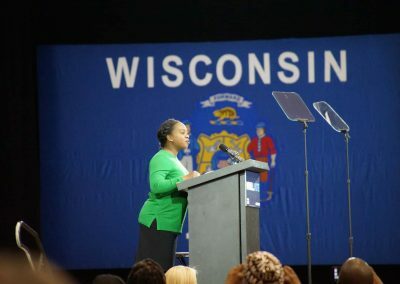 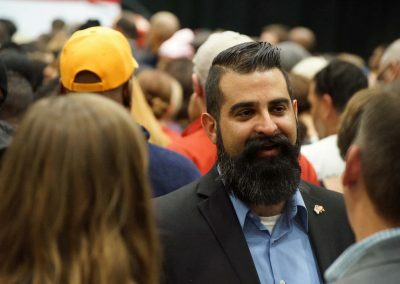 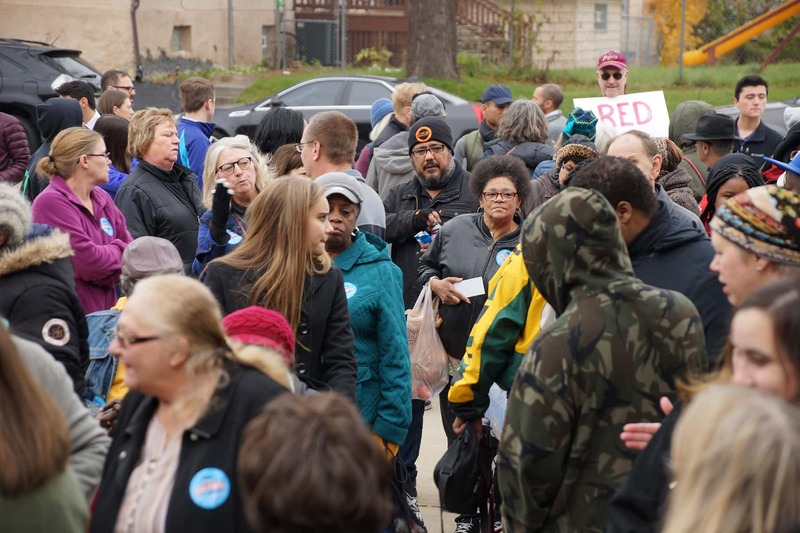 Congresswoman Gwen Moore, congressional candidates Randy Bryce and Dan Kohl, and other statewide and local elected officials and candidates also joined President Obama at the rally. 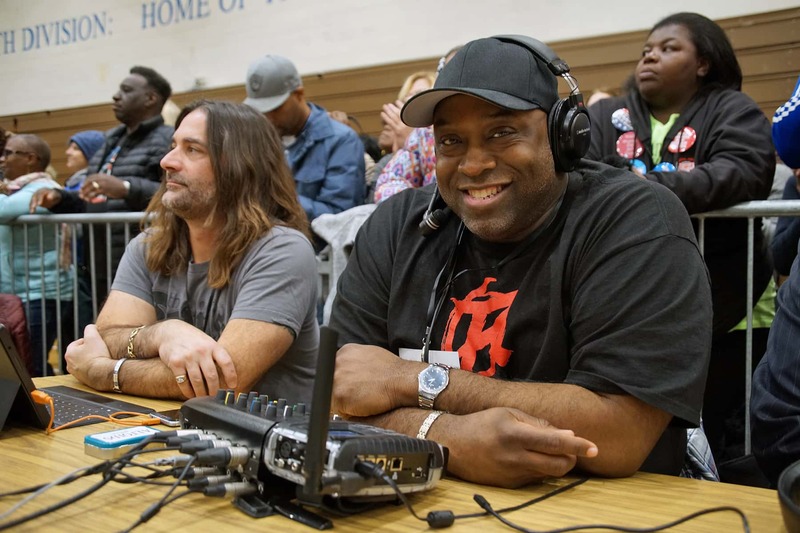 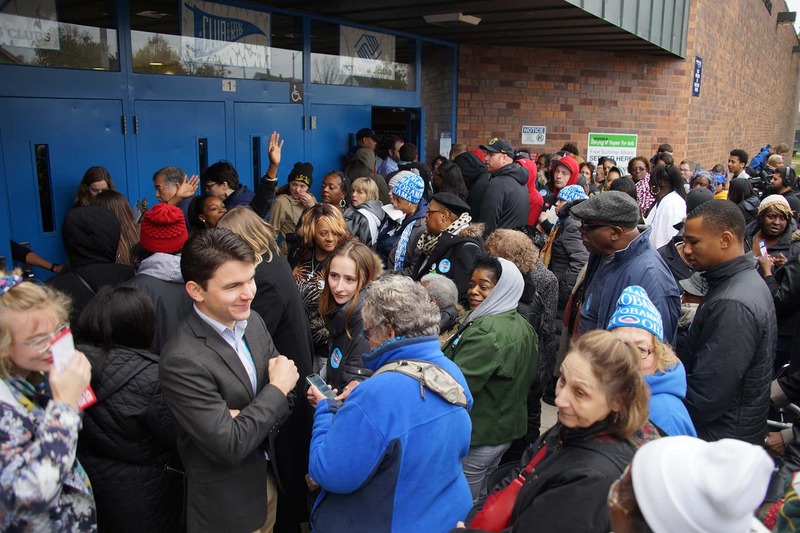 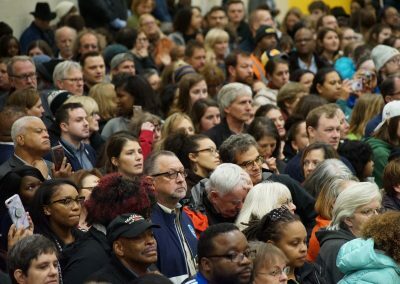 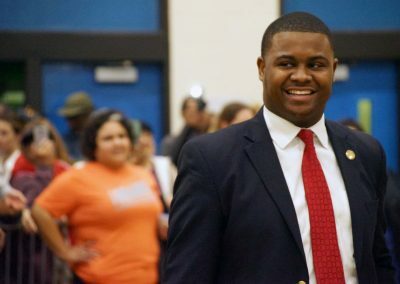 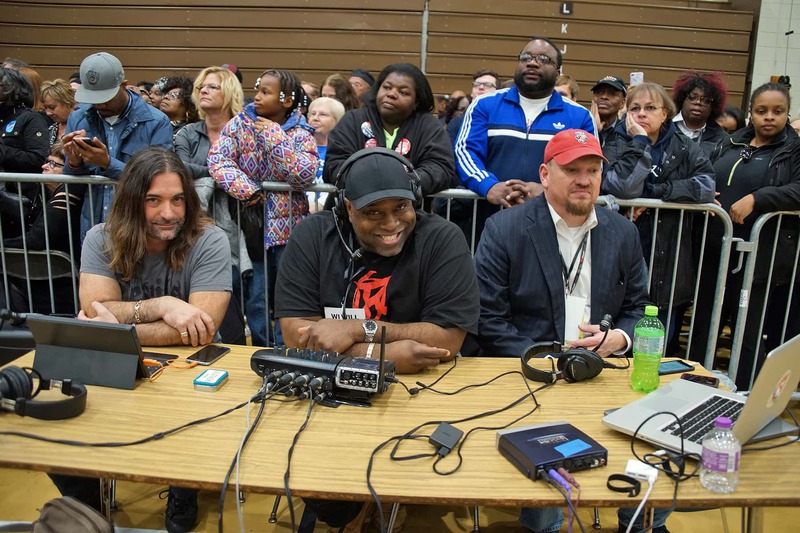 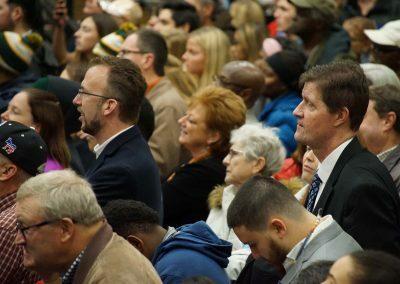 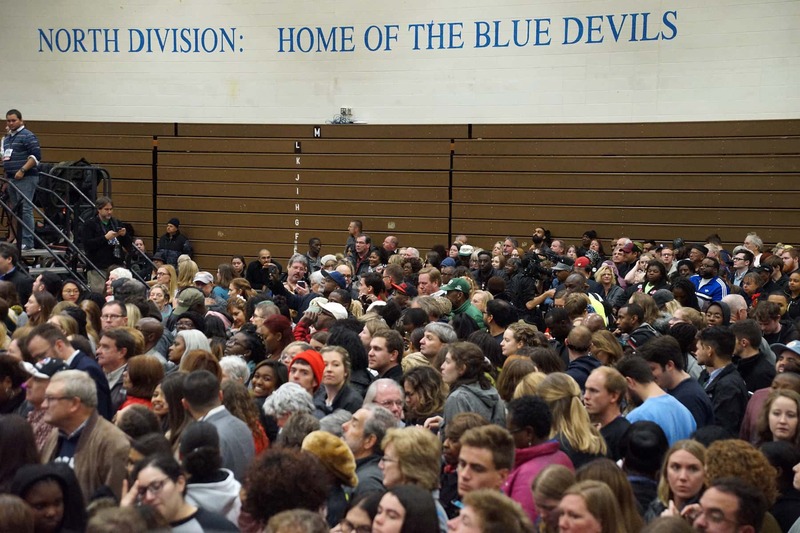 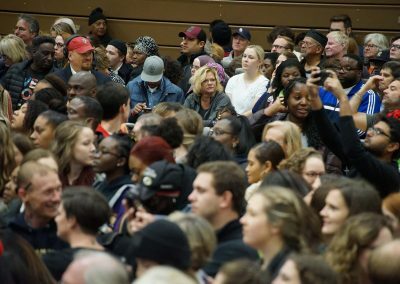 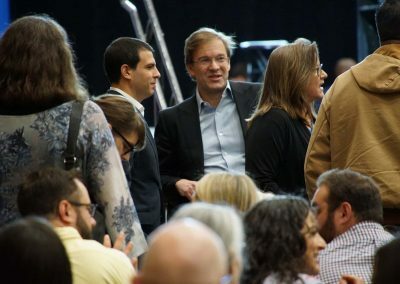 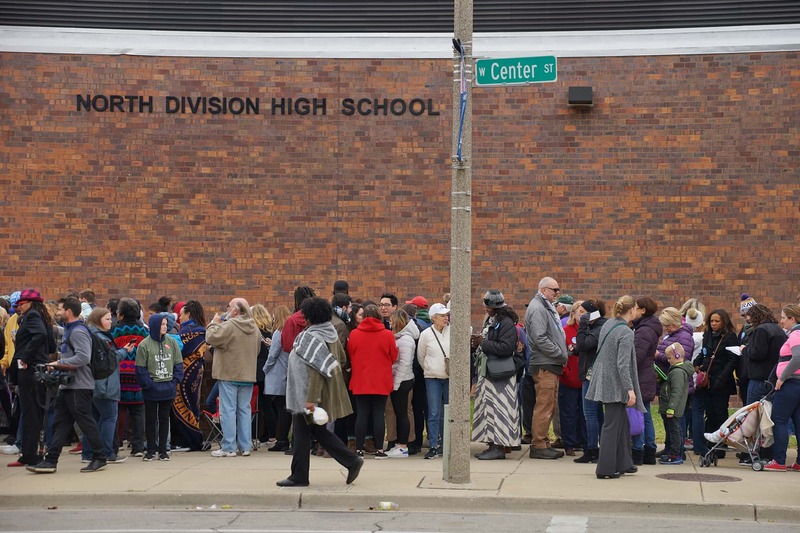 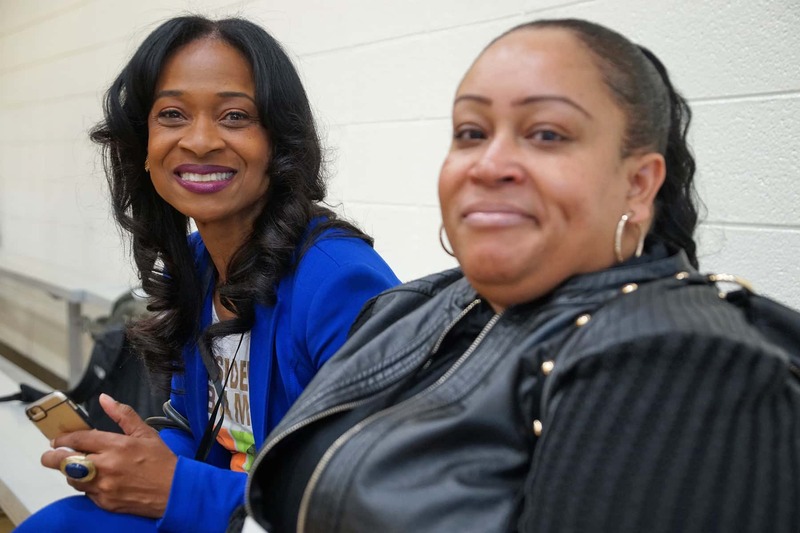 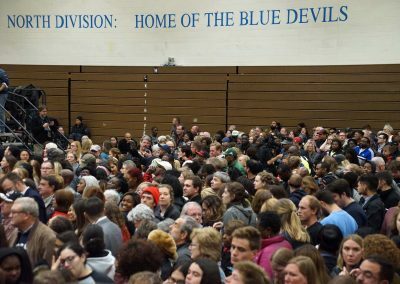 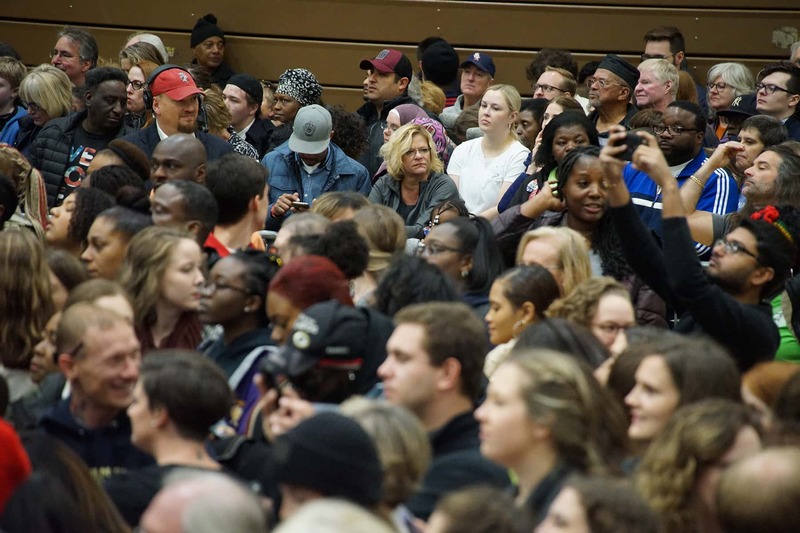 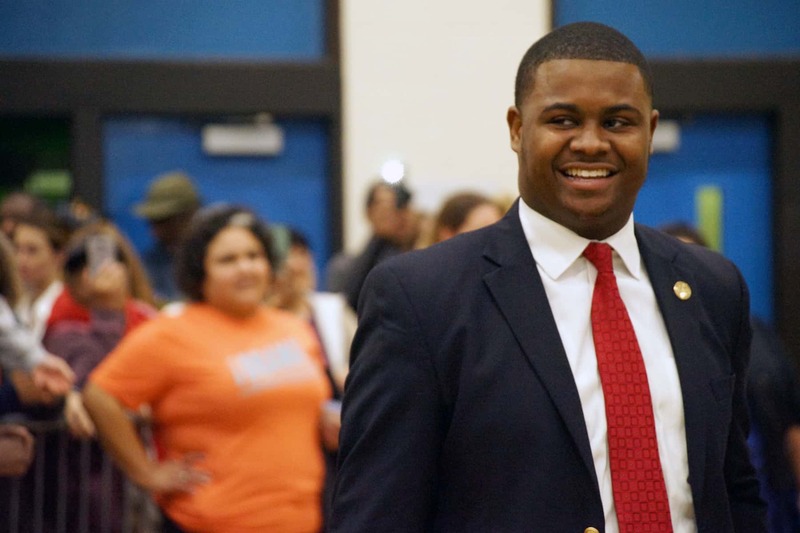 A crowd of more than 4,000 people filled the North Division’s gymnasium and overflow room. 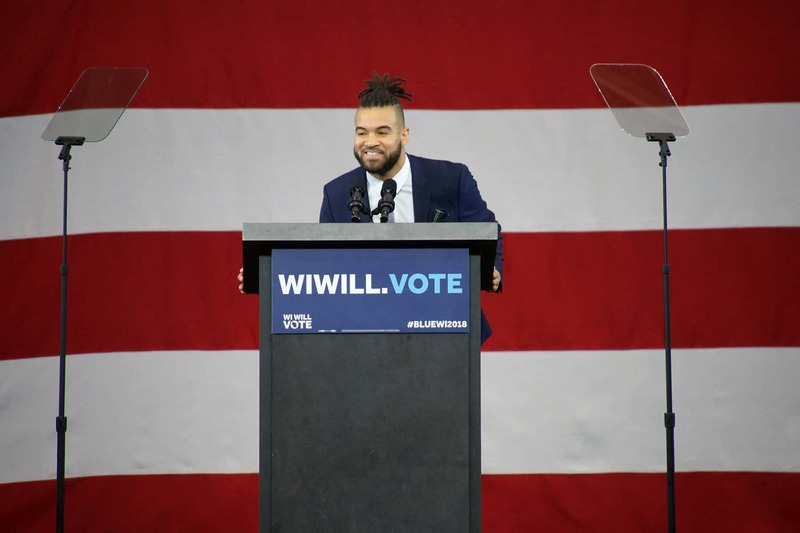 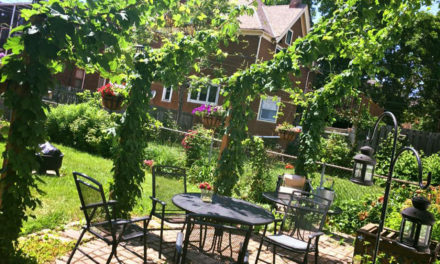 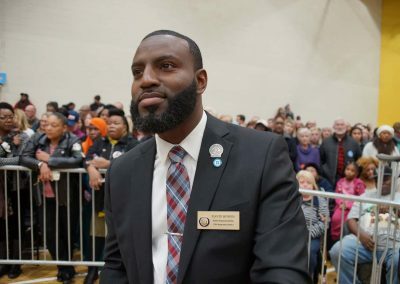 The high school is located in Milwaukee’s 53206 zip code, where Democratic lieutenant governor candidate Mandela Barnes was born. 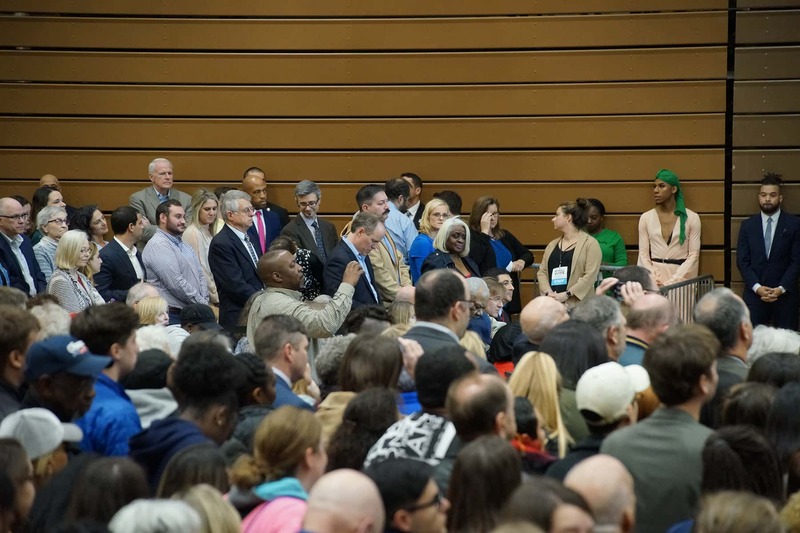 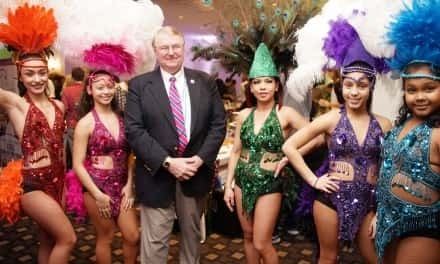 He highlighted the fact that the area is the city’s poorest zip code and has the state’s most incarcerated population in his speech. 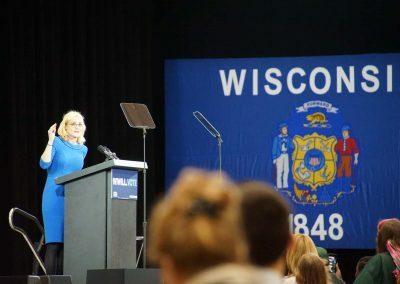 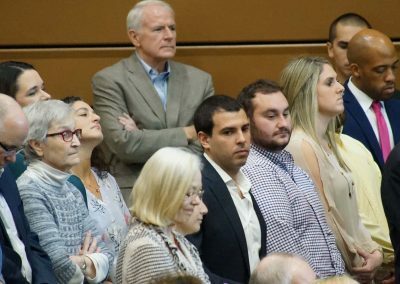 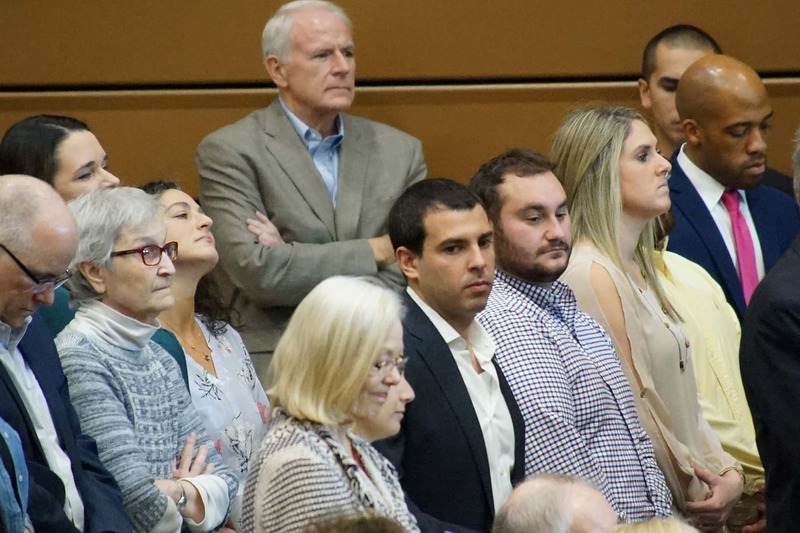 President Obama’s visit came nearly four years to the day of his 2014 visit to the same school in support of Mary Burke, the Democrat who unsuccessfully challenged Governor Scott Walker. 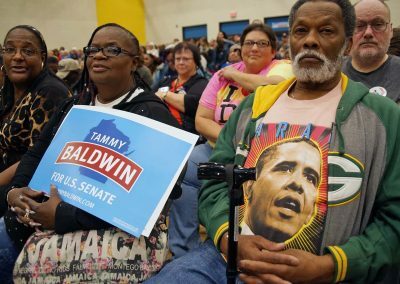 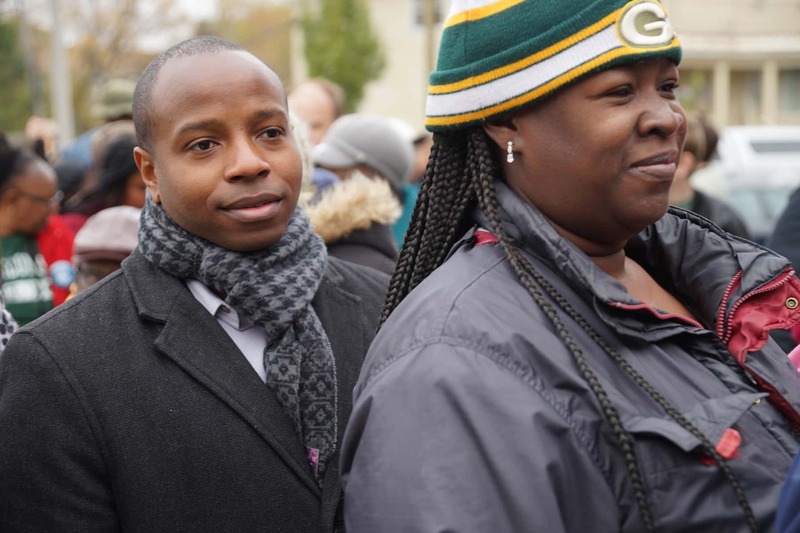 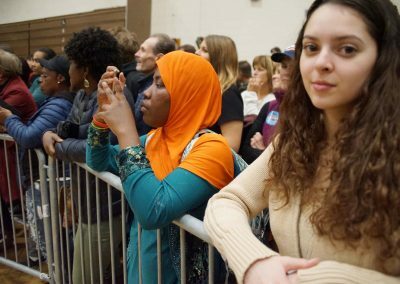 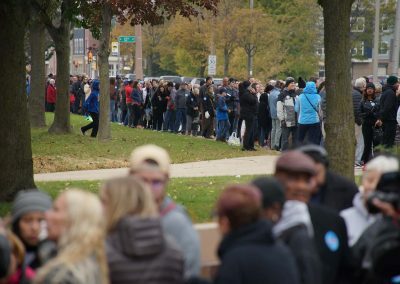 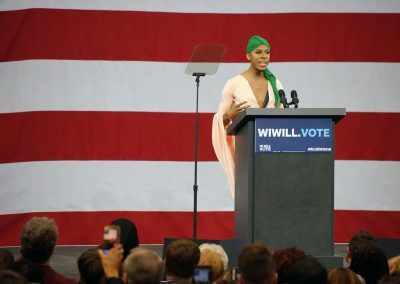 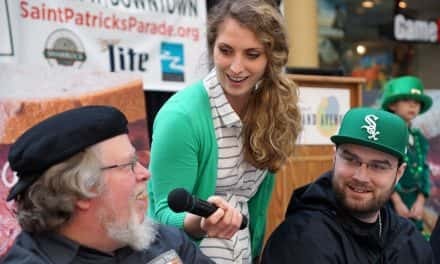 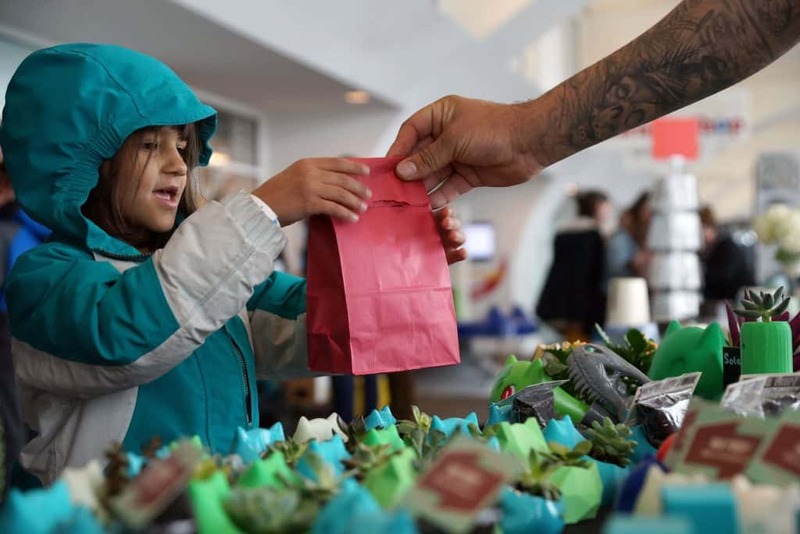 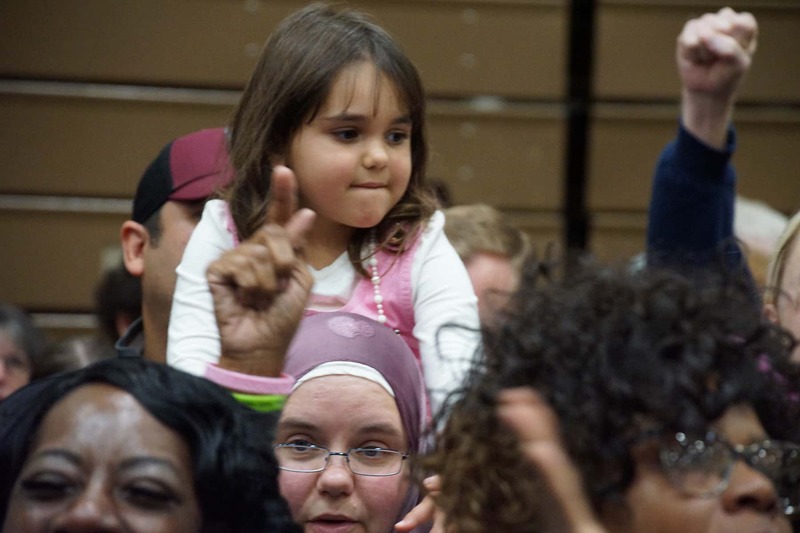 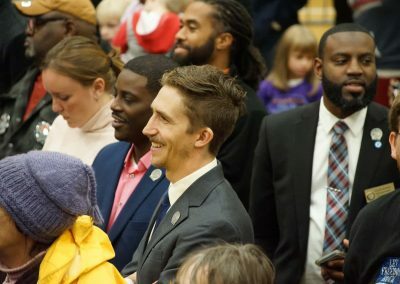 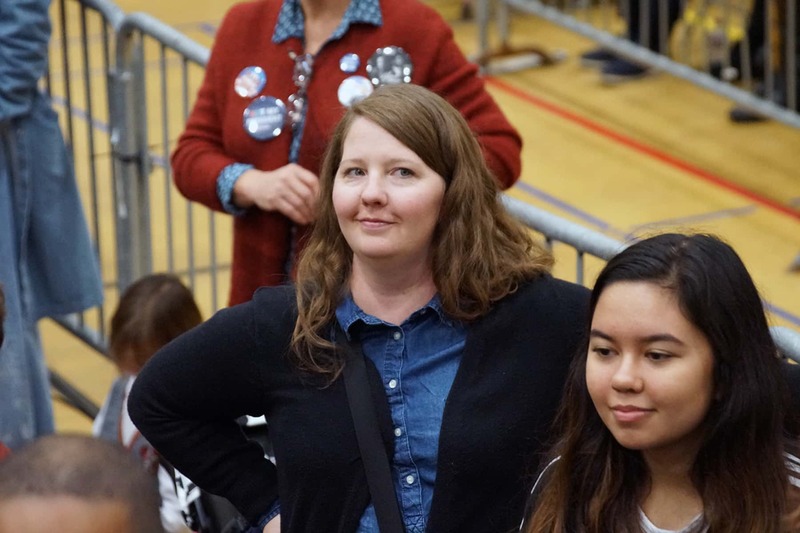 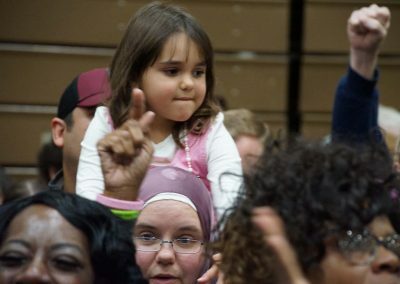 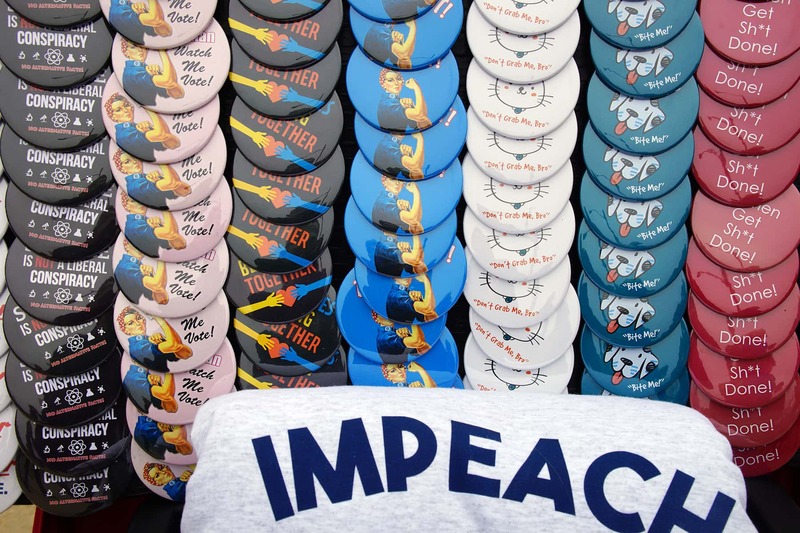 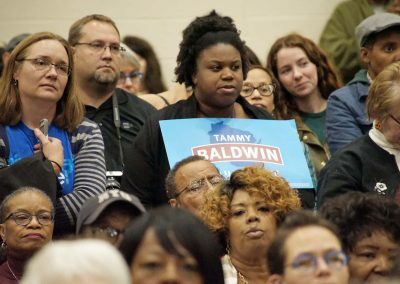 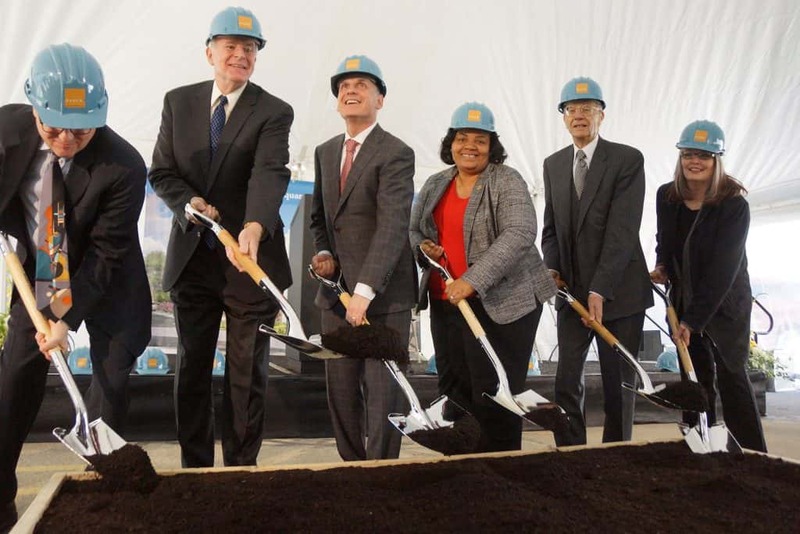 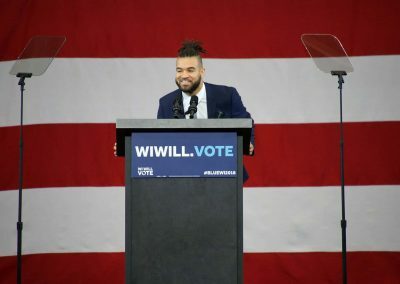 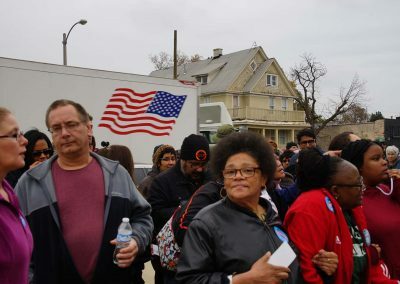 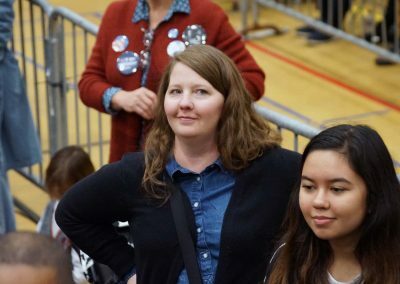 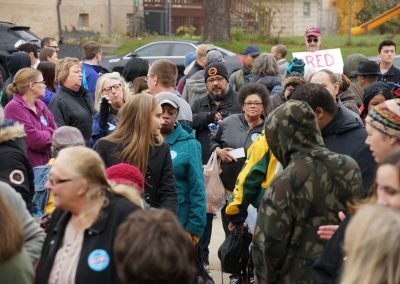 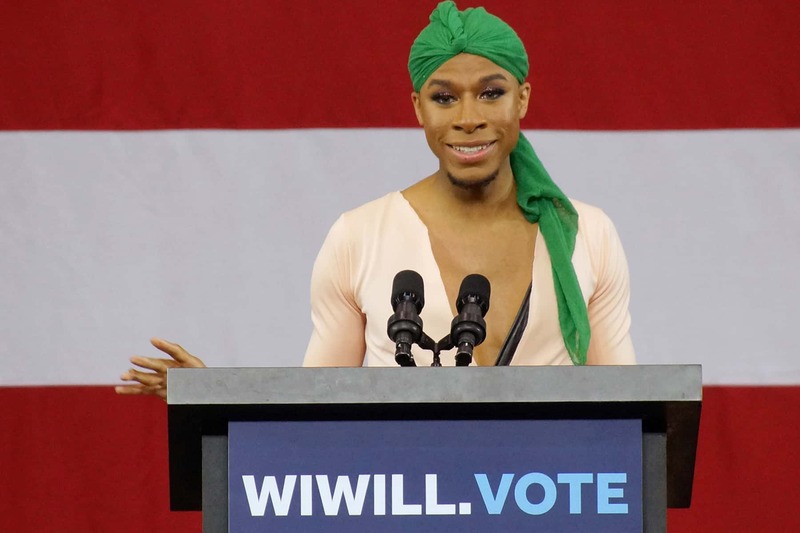 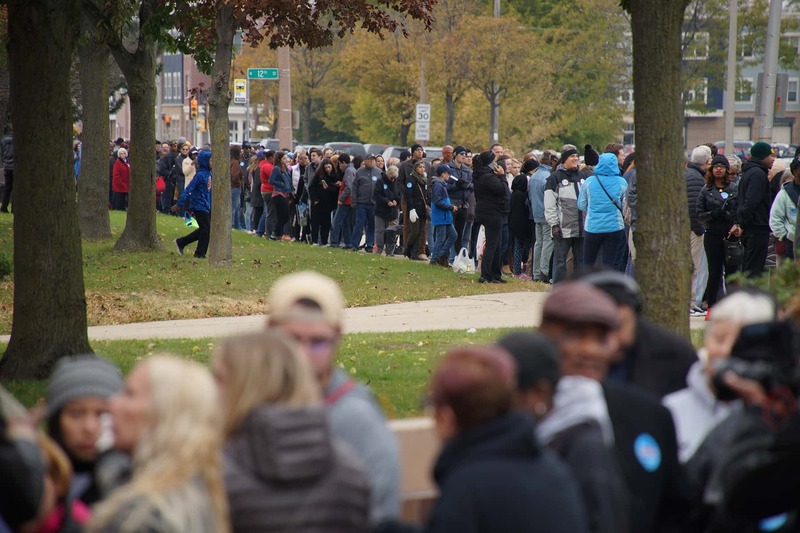 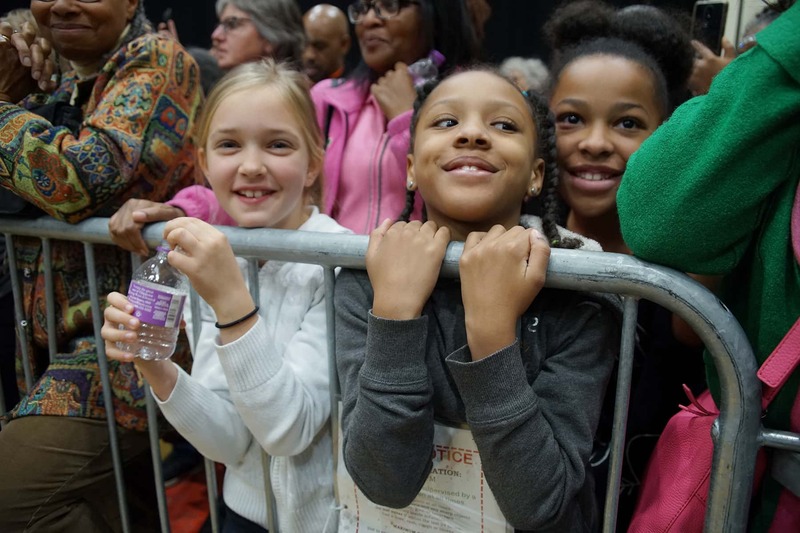 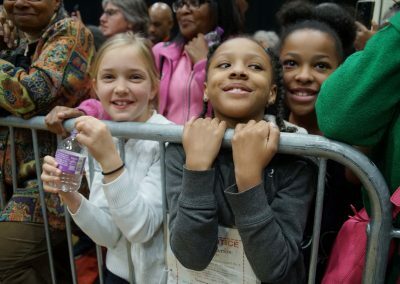 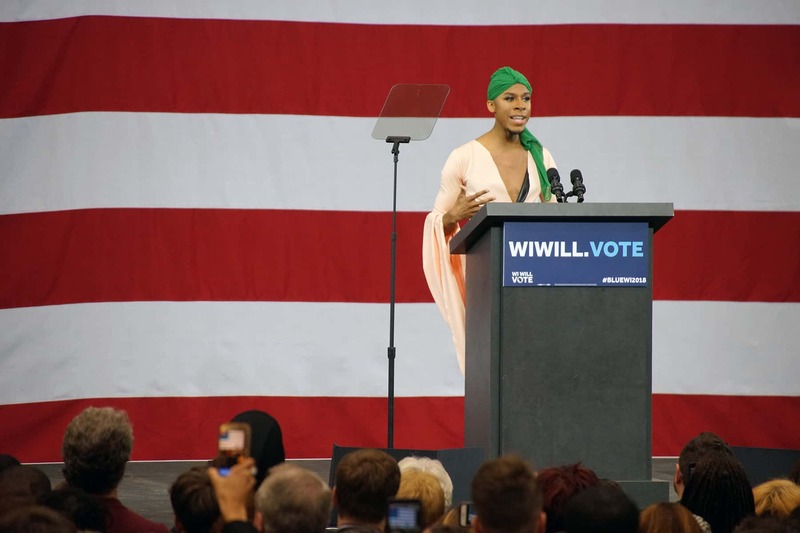 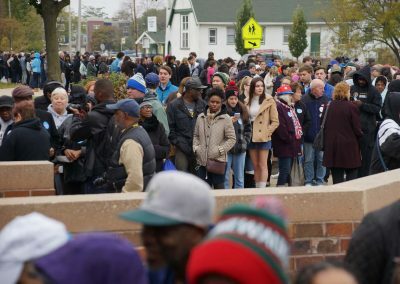 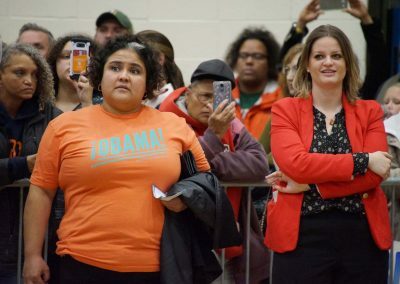 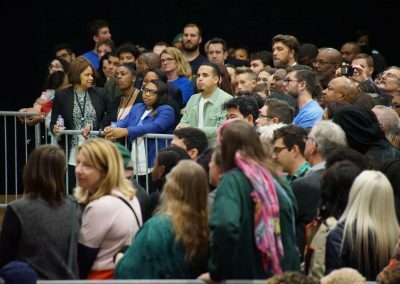 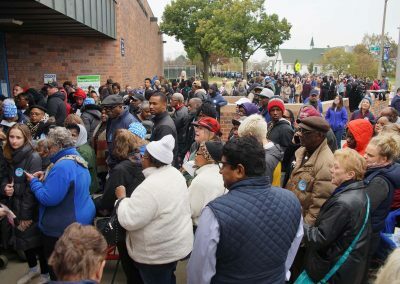 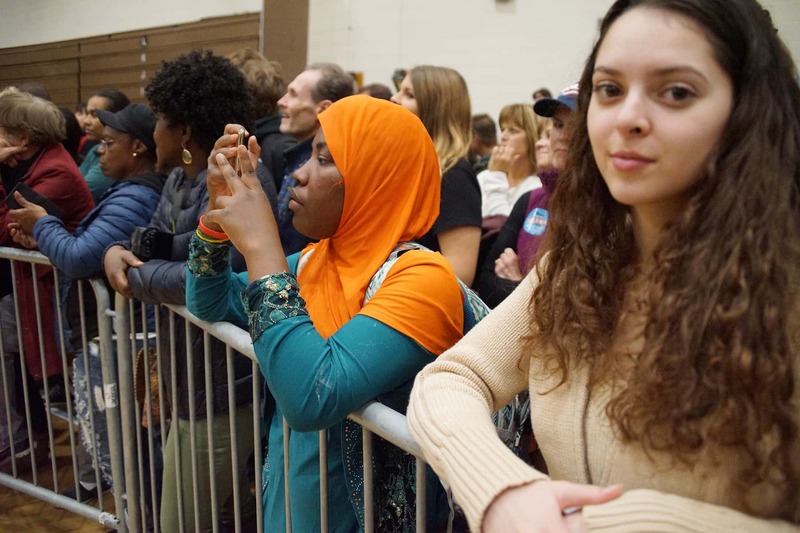 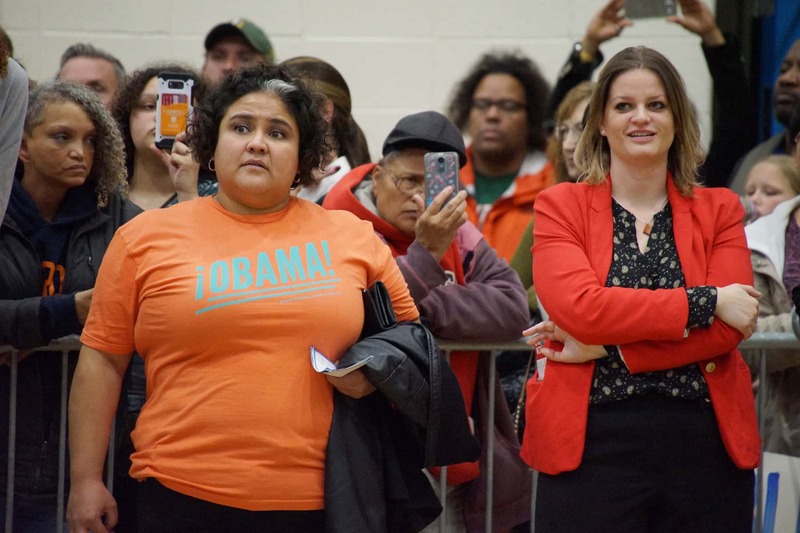 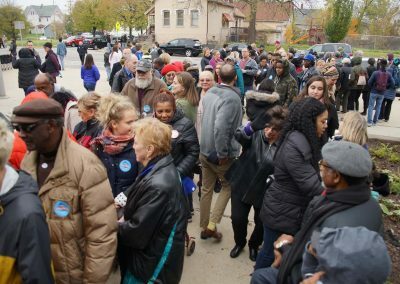 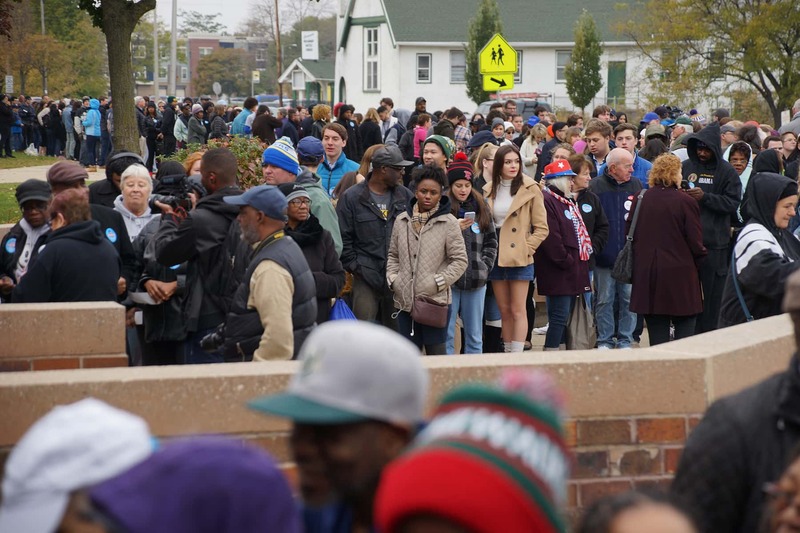 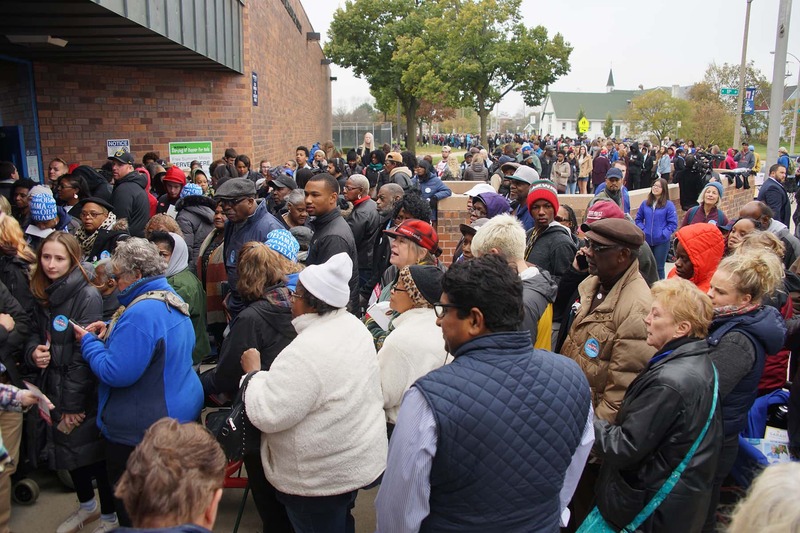 These photos highlight scenes from the political event and the public’s participation in support of the Democratic candidates, and their welcoming of President Obama back to Milwaukee.